Every year there seems to be a last minute rush to get out our Never Ending Christmas Story and the feeling in Dec 2014 is no different. As I may have noted in previous years, the delay is not really because of laziness or lack of inspiration but that even close to Christmas, there are always latest experiences and photos yet to be experienced or photographed that one must wait for before one starts to compose a story line or video. One can read last year's post to get an idea of the process and what this Never Ending Christmas Story is all about. All departures in life can be happy or sad experiences as one can be happy to be leaving for the next destination and at the same time feeling sad that one can be leaving close family members and friends behind. For those seeing another departing, they can be happy that the party is going to a destination of better hope for the future or they can also feel sad to miss the party leaving. These moments of time where mixed feelings of opposites are experienced at the same time are common. Early in the year 2014, the world experienced a different kind of unexpected departure of passengers in the flight MH370 that left Kuala Lumpur for Beijing. 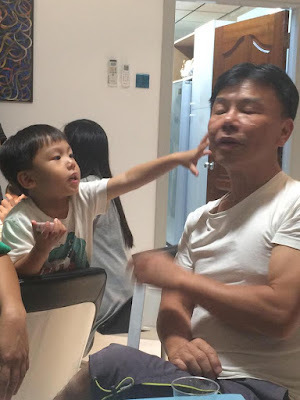 Dad like everyone else was baffled about the missing plane and started to fast and pray for answers at the Eastern beach in Kuantan Malaysia that faced the South China sea where the plane was first thought to have crashed. A little miracle sign was received to find a little green toy plane on the ground behind the bench where he was sitting in deep meditation. A sign from heaven perhaps that the plane had not crashed into the sea but had landed somewhere on dry land? 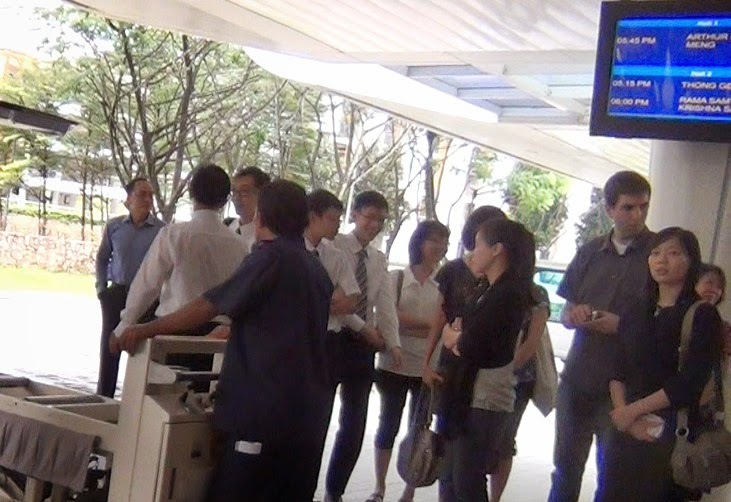 ... noting that many came to witness her final departure at the Mandai Crematorium at the appointed time of 5.15pm as displayed in the blue LCD screen of the above photo with her name printed on the screen. 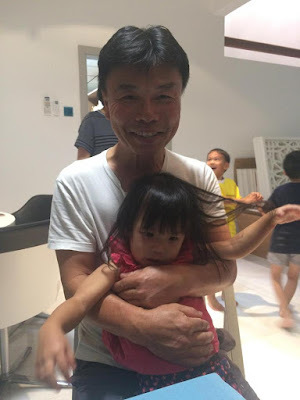 After Dad returned from the little miracle of finding the green plastic plane at the beach, he rested that night and thought he would have a dream that would reveal more about MH370 but instead, as recorded in his journal post, he woke up the next morning feeling as if Mom had spent the night in his room with him! 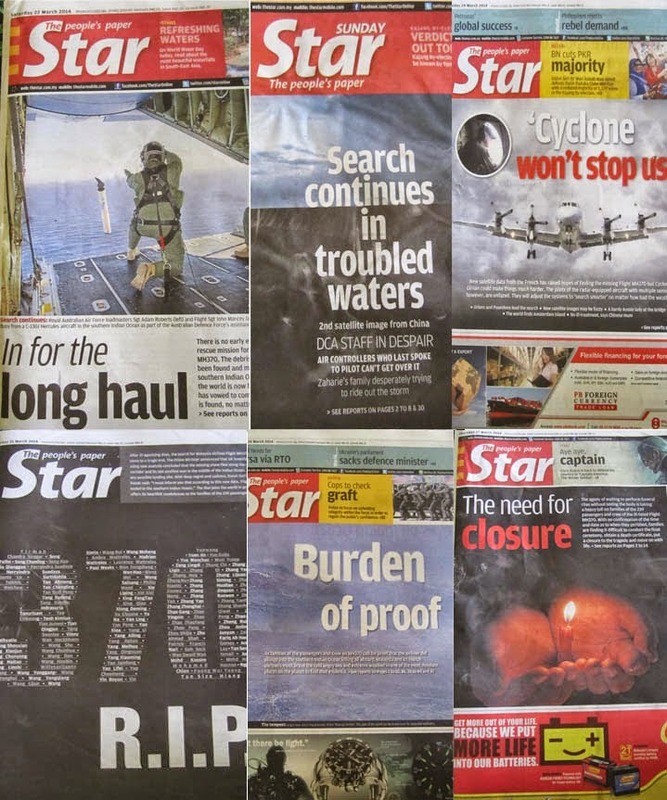 It was as if Mom had returned back for a short time as a post written on 4th April 2013 covering Dad's spiritual experience in seeking answers about MH370 was actually on Mom's birthday. Dad also remembered that at the very same spot he was meditating on the MH370 puzzle, Mom had walked the beach behind it with Ray and our dog Simba when she was alive as portrayed in the above photo. This is the spot that Dad chose to meditate from where Mom can be seen in the far background with Ray and the dog as a tiny spec. He arrived in the UK and became a ukulele singing star too seen above with his Mission President Robert Preston and his wife. You can here him sing with his companion by clicking part of his mission journal here. Life seems to always have a departure and a return home as Han did in June 2014 at Changi airport. 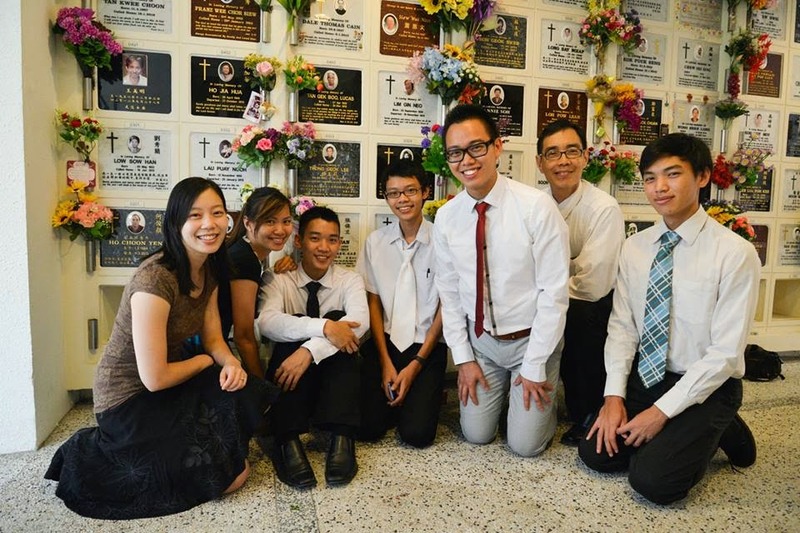 His two sisters came home from the US with their spouses to be reunited together in Mom's memorial resting place. Mom could have visited us at special events of our family but we know for sure she had returned to the heavenly home of our Heavenly Father! 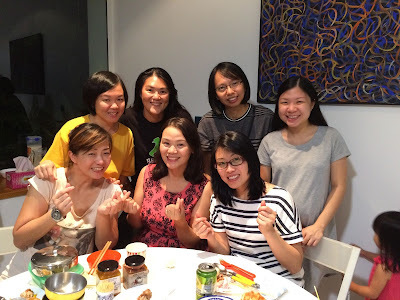 Here is everyone that made up the BIG familylane reunion who departed from their home to arrive to be together in Singapore in June 2014! Our last reunion with everyone together including Mom before the one in Singapore was in the USA in June 2011 where all of us boys with Mom departed from Singapore to be with the girls and their spouses to take the above photo. After MH370 plane crash on March 8, two more plane disasters occurred with MH17 shot down on July 17 and the AirAsia flight QZ8501 crash that just occurred on December 28, at the time of writing this post! 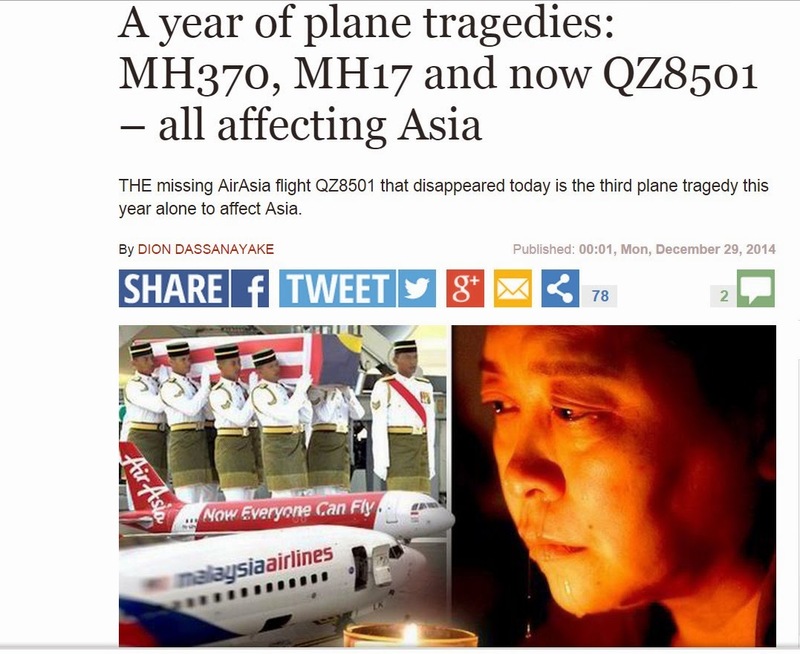 239 people went missing on MH370, 298 were killed in MH17 and 162 went down with QZ8501. Sudden departures whether from a plane crash, other common accidents, natural causes of sicknesses or even deaths as a result of human motivated murders or wars bring much despair to the close ones of the departed. It has been a noted phenomenon that everyone knows they will die one day yet, everyone live their lives without really worrying about death or wondering is there a purpose to life or what happens to us after we die! 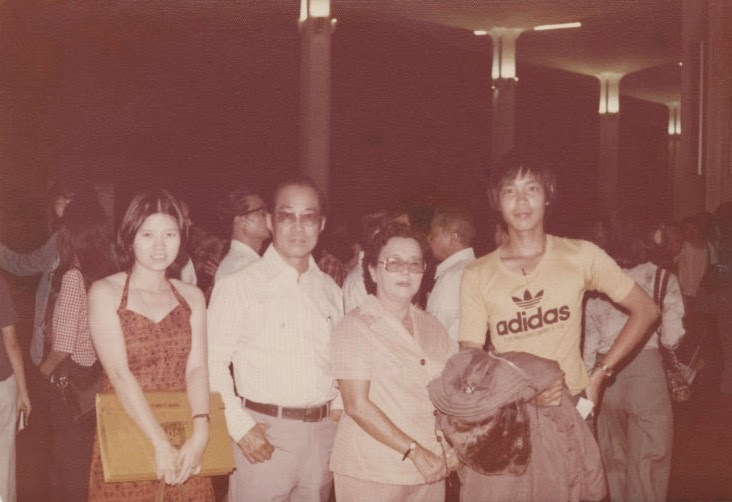 This photo was taken when Dad, on the far left, was 18 at the departure hall of Subang International airport in January of 1977 leaving for his tertiary education in Australia. ... with fear that the pilots may feel sleep like he did on that flight to Australia! 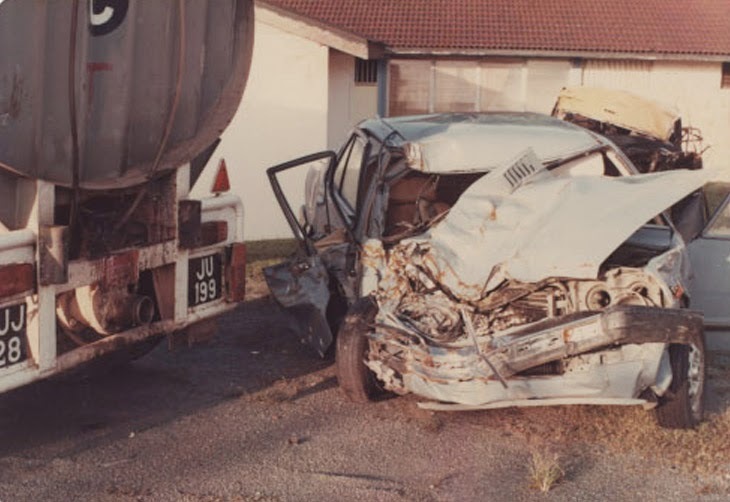 A near death experience when he was riding his motorcycle in the city of Geelong caused him to ponder about the purpose of life and find it, an experience recorded with much detail here. 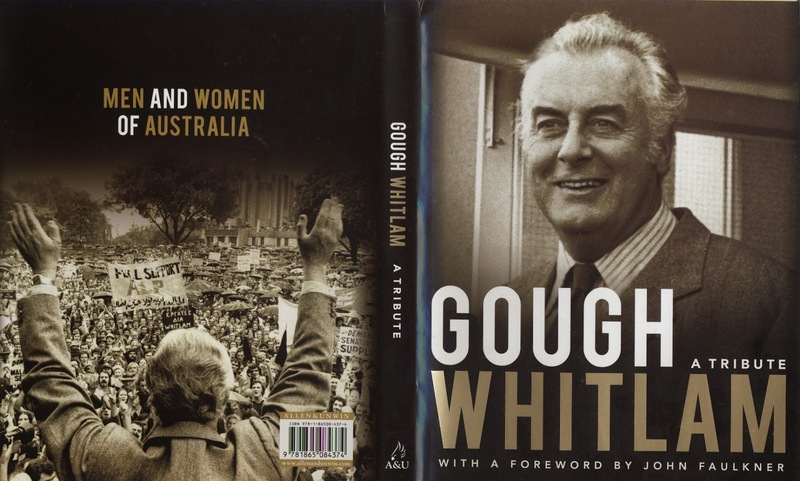 In 1980 he departed from Australia not only as a graduate of the school of commerce but as one called to preach the gospel in his homeland as he had learnt from The Church of Jesus Christ of Latter-day Saints commonly known as the Mormons. 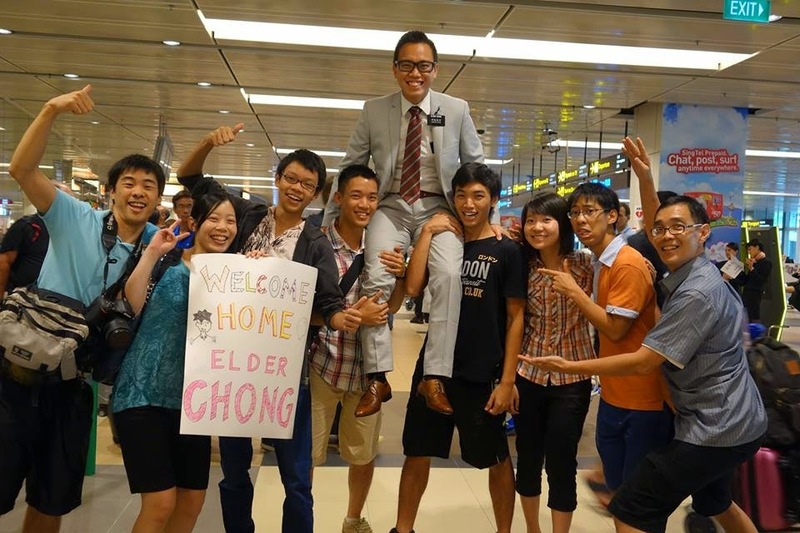 He returned to Melbourne in 2014, 34 years since he first left to find a Melbourne Mormon Temple there. ... while Shuan has expressed his desire to serve next year after his release from National Service as an officer in the army. Now all of the children were blessed with the opportunity to fly on a plane to many different destinations of the world in safety. A common destination is to the USA and some had gone to Australia, China, Russia, Austria, Hong Kong, Philippines and short flights between Singapore and Malaysia all with a safe flight record. 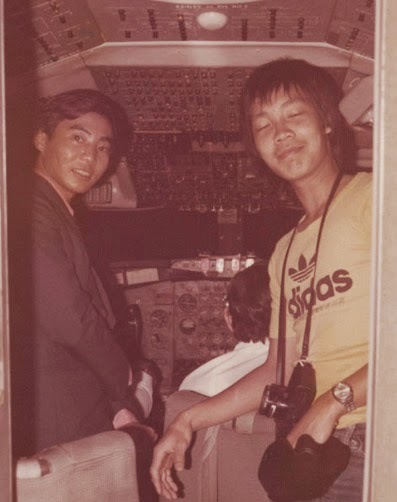 Dad remembers following Su back on a plane to the US after her mission to continue her studies where he had to be in the cockpit again to help steer the plane! 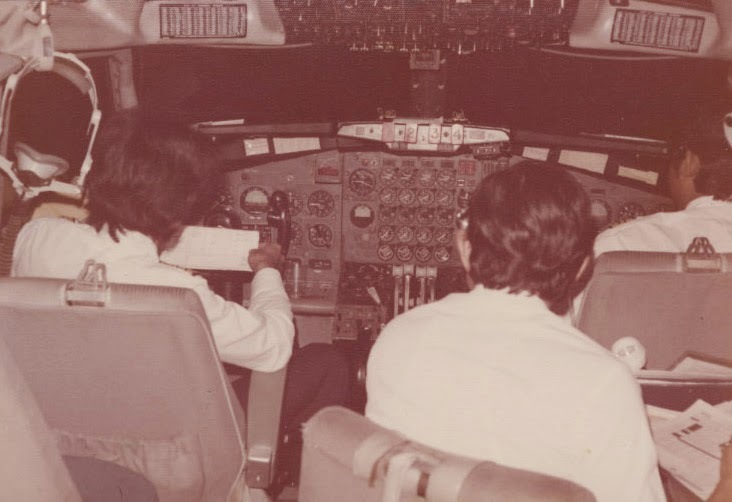 Dad's record hasn't been really on steering large planes! 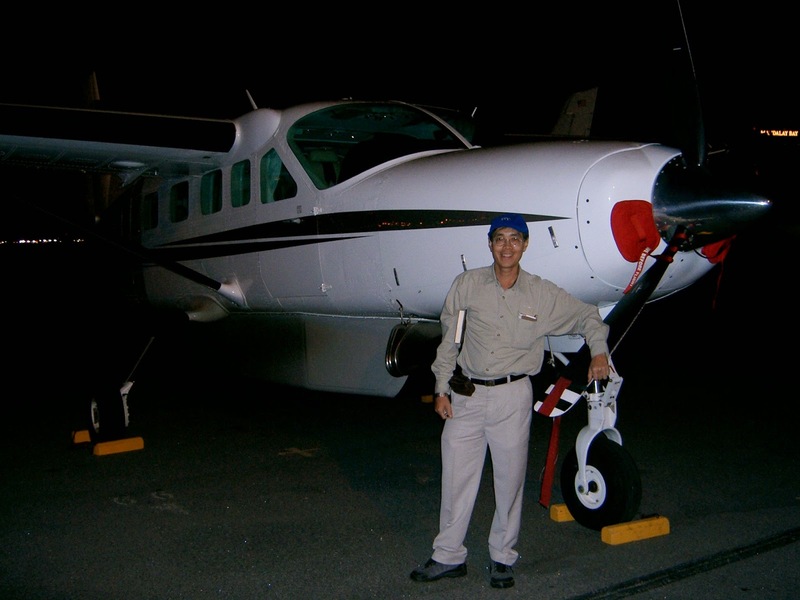 Small planes perhaps and when questioned, he responds in his usual manner,"You've gotta do what you've gotta do!" ...but more often it's like what his tee shirt above declares, "I survived." ...or driving an Aussie Ute in Melbourne-Geelong! Click here to watch the live video with sound posted in facebook. 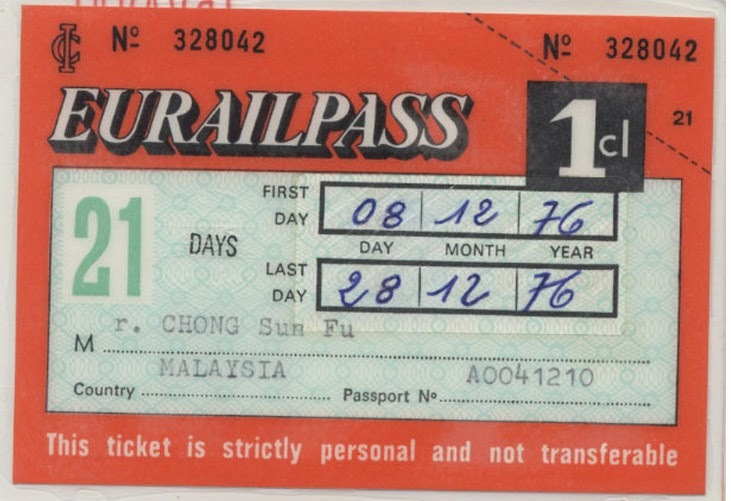 So how did I know that I left on 22nd Feb 1977? I can see from the Aussie immigration stamp the date I arrived ie on the next morning from a night flight. Yes, I still have my old passports with me! The old passport was renewed for another 5 years from 16 Sep 1974 till 16 Sep 1979 as seen in a renewal page, which explains why my student visa could only be given up to at least 6 months before the new expiry date ie 31 Jan 1979. Guess I am a trained accountant to keep track of these documents! Tracking to compare the old passport photo and latest photo today! 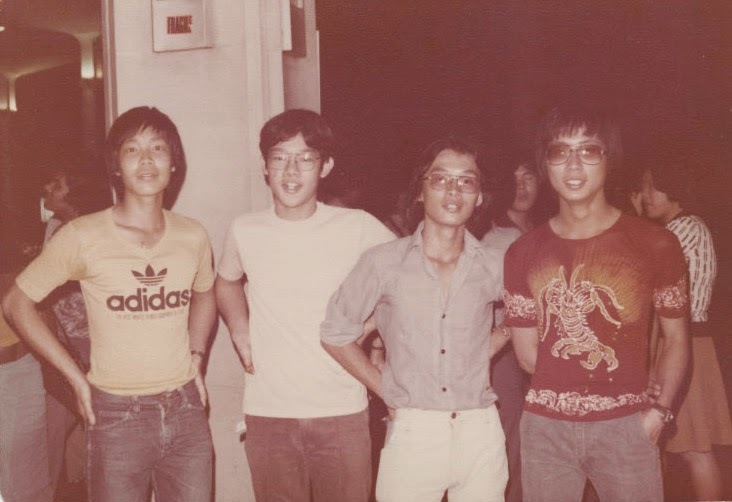 ... and also with my schoolmates with Kim Chuan, 2nd from right, also a close neighbor into bicycles, motorbikes, fishing, camping, and parties! He with the others would later go to the UK for his studies. 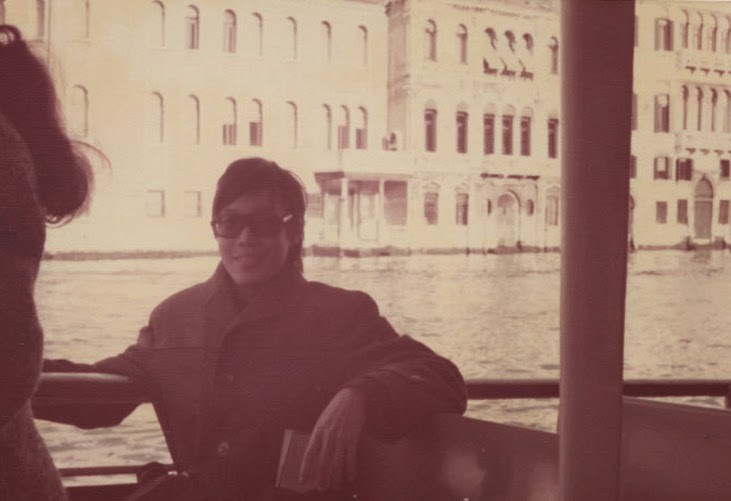 Later in the 80s, his family migrated to Melbourne and he joined them. Prior to heading south for my education, with my savings from all the 'ang pows' from Chinese New Year and cash rewards for my good results in major government exams at form 3 and 5 during secondary school, I thought I would travel to Europe to backpack and see the famous sites that I've only read or heard about. 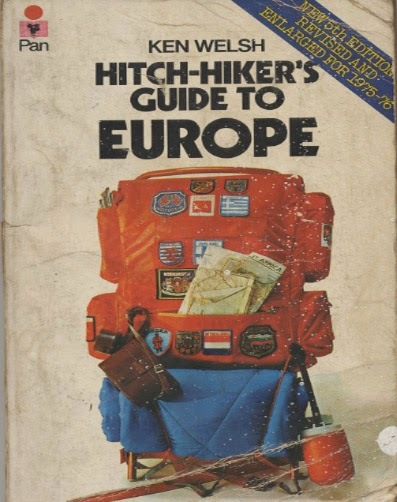 I didn't plan to hitchhike around Europe as I wouldn't have the time to see every country in Western Europe which I desired within 30 days as I had to be flying off to Australia at the start of 1977 for my University. So I bought a train pass that was magical as one could start from any location and go anywhere in Europe for the duration I paid for i.e. 21 days so long as I didn't come back to the same city on the journey or the card will become invalid. So I decided to take the cheapest Aeroflot Russian airlines in those days to London first as my base to explore for a week before starting my 21-day train journey crossing the English Channel to Paris. From there I would continue visiting all the major cities in Europe as far south as Pompeii and Naples in Italy and as far north as Stockholm and Oslo in Scandinavia. I had to miss out on countries too far south like in the Iberian Peninsula of Spain and Portugal as well as Eastern Europe that was not allowed in those days or countries too far east that was allowed like Greece. ... and as the stamp shows, I arrived Heathrow London airport on 28 Nov 1976! As usual, visiting people became my priority in as much as I want to visit any famous site or any of the 7 wonders of the world! I found some of my schoolmates who had left for England early after form 5 of our secondary school. 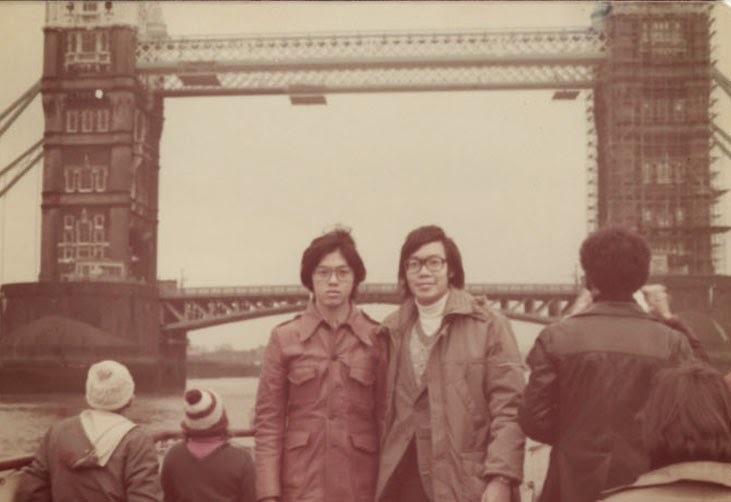 Kim Chuan would later join my other old St John's boys whom I had visited in London as per the pic above in Dec 1976 prior to going down under in early 1977. 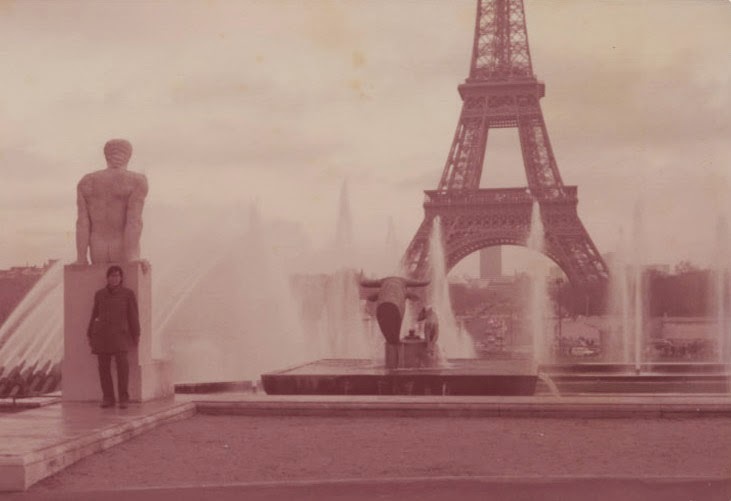 It was lonely in Paris as I couldn't speak any French and they won't speak to me in English! Italians were noisier like the Chinese and I loved not only the food there but to visit the ancient ruins there especially going down south to Pompeii and Naples to find an uncovered city formerly buried when the volcano Mount Vesuvius exploded n 79AD. Unfortunately, it was still lonely to enjoy the sites without friends I could communicate with. Venice was supposed to be a romantic city but not when you're all alone!!! I traveled from city to city by rail, covering over 10 European countries and backpacked alone but there is a bonus in doing so. When you're alone you tend to try to meet strangers as compared to going in a pair or group where you just talk to each other and ignore the foreigners. 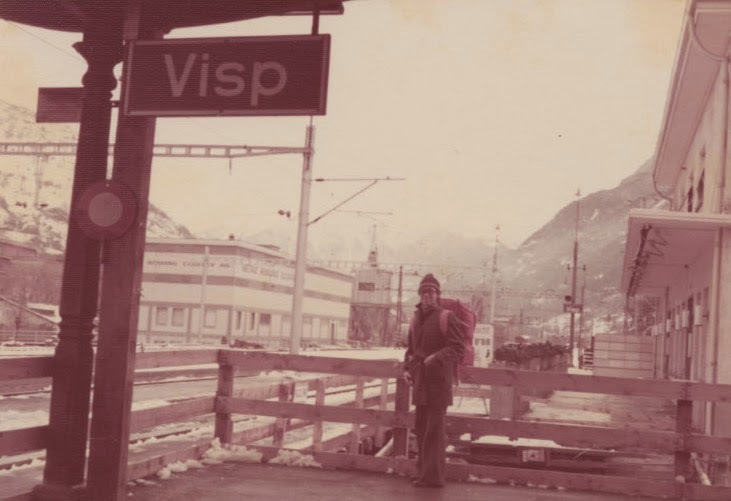 I met a group of other backpackers on the train in Switzerland and I got off the train at Visp to catch another train to Zermatt where the Matterhorn is to join them in cross country skiing. This is a new sport and will be the first time for me as I've never seen snow until this European adventure! 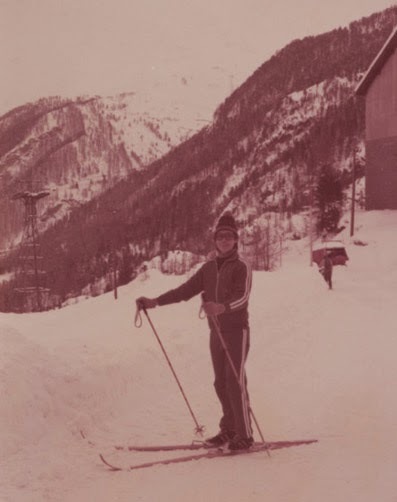 With a pack of experienced cross-country skiers who taught me how to do it, I was enjoying the new sport of skiing in the snow for the first time! I had returned to Europe later in my business life, particularly to Germany for the Hanover Fair a couple of times and took time to visit London again. Imagine that I would run into another old schoolmate whom I had lost contact with for years, Lim Yan Pok , walking in Oxford Street but that would be reserved for another post of another visit to Europe again. But I had wondered about casual friends I had made while in Munich that I visited while in Germany. I had lots of photos of my trip and even had names of the new friends I had made photographed below namely, Ulrich Schaible, Christa Hokel and Andreas Pfister who are students from the town of Pforzheim who were touring 'Munchen' too. I had learned German from Gothe Institute during my school years and could use it in Germany but I found that the Germans spoke English fairly well too! The two snow-covered pics above were taken with my camera too of the Olympic Stadium, site of the Olympic Games in Munich in 1972. The Olympic Tower is seen in the bottom pic where I had ascended to the view deck to take a shot to produce the middle pic that is an aerial view of the Olympic park of Munich. Where my international clients are from determined a lot of where I would travel during my early married life and for the most time, it has been to the North American continent. With two daughters who later had their tertiary education in the USA and eventually married American born men to settle down there, it only made sense to make more frequent trips north than to the southern hemisphere. I know American culture very well and look forward one day to do business in Europe and learn of the European culture which I am only familiar with of the British who were the colonial rulers of Malaysia and is also a member of the British Commonwealth countries today. 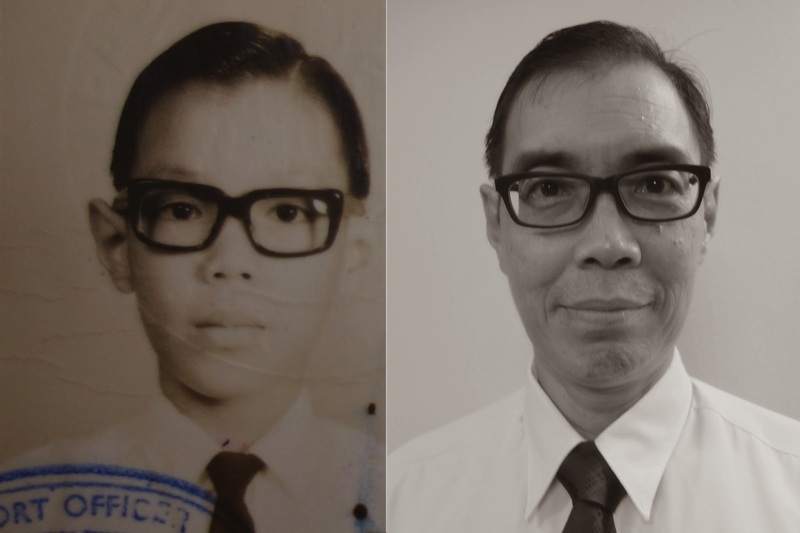 Only managed to reunite with his oldest brother Tong Leong who was also at Deakin Geelong in 1977 studying architecture and he had picked me up at Tullamarine Airport on my first day in Australia then. 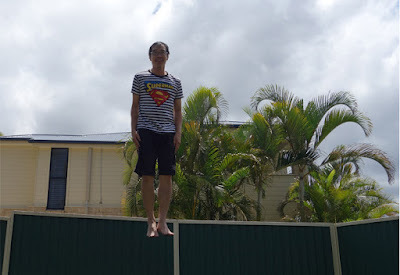 He had also dropped me off at the airport when I returned home 3 years later but he himself had remained in Australia with his parents and siblings from Malaysia joining him later. 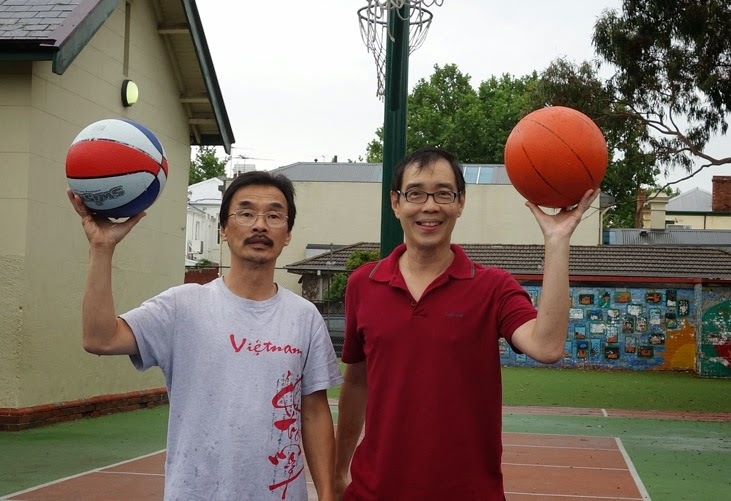 Kim Chuan was the one who connected me to his older brother when I first came to Australia who gave me a good orientation of living in Australia. He taught me outdoor stuff like downhill snow skiing, diving for abalone and a few other things to survive and enjoy Australia! He also passed on his well paying part time job at the Belmont Hotel to me during my holidays when I stayed back in Geelong. 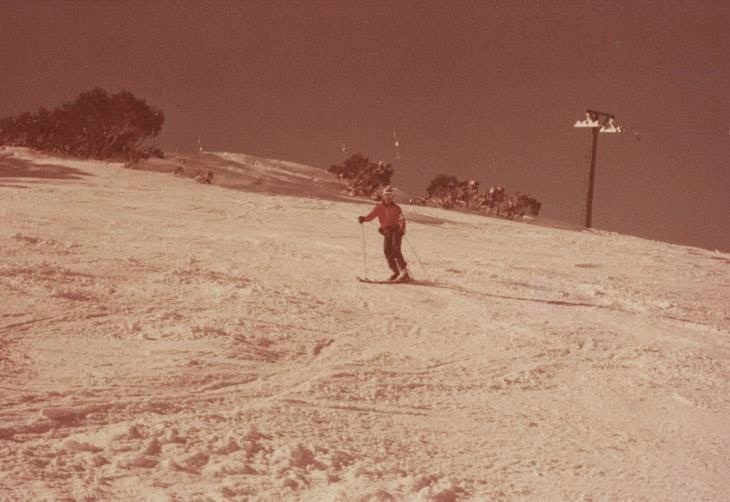 I can coach anyone today from the beginners level easy slopes using the snowplow position to hopping down the advanced steep slopes as the one shown in the pic above using parallel downhill skiing techniques. One just needs to practice cutting into the slope with the edge of the long skis and enjoying the free slide or ride down to the bottom of a valley and getting up to the top again with the chairlifts or Poma lifts. 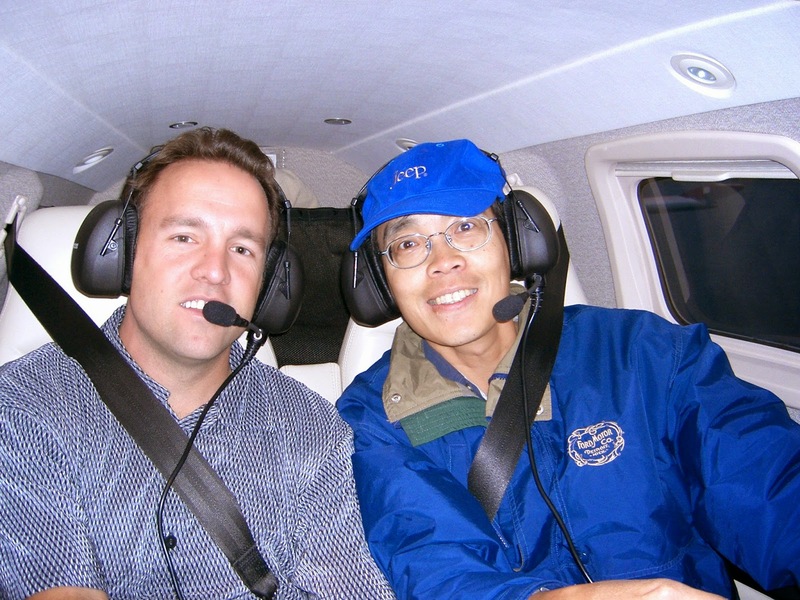 Here is another old pic of Tong Leong when he suggested and joined us in a crazy Geelong-Canberra return drive when my 3rd brother and wife visited us in Geelong! Revisited Melbourne Australia again for the 3rd time in Nov 2014 this trip! 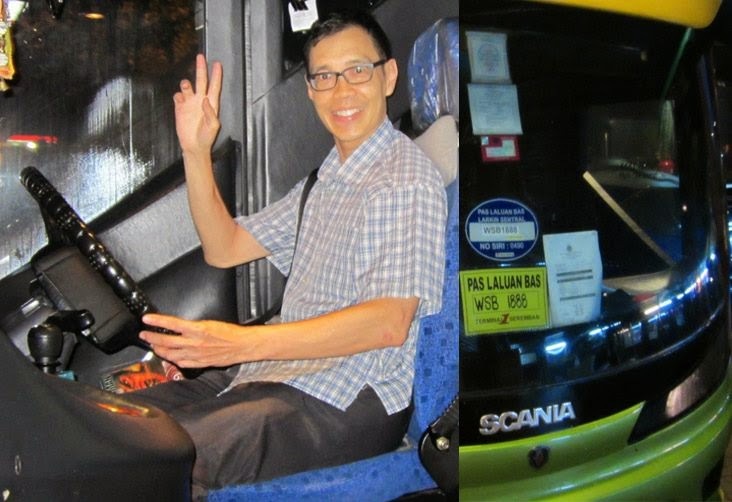 With focused attention, some miracles happened in KL to find Kim Chuan as recorded in a spiritual post here. He wasn't much into social media but we somehow found each other in google+. The moment I left messages with my phone number contact, I soon got a surprise phone call from him to chat and later we used Skype for follow-up chats as I had recommended. Like the good old days when we would quickly ride off into some new adventure trail, the same spirit seemed to prevail with the two of us 30 plus years later! He invited me over and join him in some of his trails before it got too hot in the summertime! So off I flew to Melbourne as fast as I could after booking the tickets online, thanks to the convenience of the internet that could get us back together after a long period of time of silence. All my life, I've lived the principle or concept that Family and Friends are Forever and it's nice to be back to find family and friends in the old country as I would call Australia or the land down under where I not only received my tertiary education but was where the boy had become a man!!! Meeting the family of my buddy with lots of food! 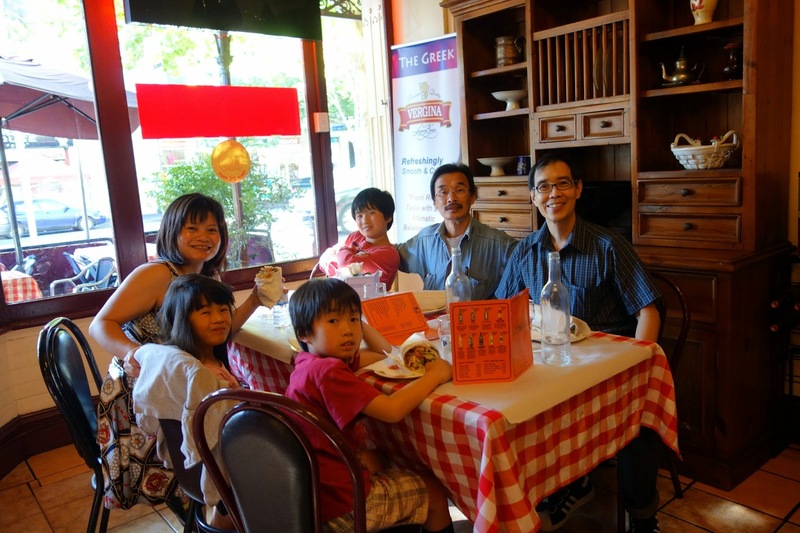 Here I am with Kim Chuan in Melbourne with his wife Phuong of Vietnamese descent and children at a Greek restaurant on my first day in Melbourne after settling me in their home. We were eating Greek as he asked me what I would like to eat and I told him I missed my favorite Lamb Souvlaki ....Yummmy! Post by Sun Fu Chong. Soon I was brought to meet my buddy's wife's sister's family and ate Vietnamese food, Yummmy! 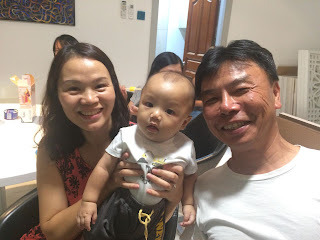 Post dated photos: Met him in Singapore when I got back from this Australia trip of Dec 2014, making my trip a complete success in reuniting with all my old friends and family members living in Australia whom I've not seen for a while. 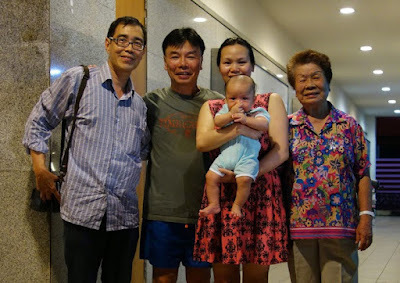 I met Tong Leong again back in KL in Jan 2015 with his Mom and his new young wife carrying their new baby boy Yi En! From his previous marriage, he already had 3 girls. A few months later in Apr 2015, he got some of his architect coursemates together whom I had known at Deakin University in Geelong famous for Architecture. On 1st May 2015, we decided to go biking in the Ulu Langat area. This was a familiar area to me from my teenage years where we would have fun at the many streams and waterfalls found in the forested area there. In fact, just in the previous month, I had brought 2 Singaporeans there to enjoy the nature there. The reason was my senior friend brought two of his road racers to let me use one. Now I'm more a mountain biker going on off-road trails etc taking my time enjoying nature so I could not keep up with his punishing pace speeding along the hilly roads of Hulu Langat! I suffered cramps and let him go ahead while he had to wait for me back at the car park where we started! Now, this senior friend I knew before, was already a marvel to me in my student days in Australia where I had shared a little above, that he had taught me so much beyond what my tertiary education could teach me! Now he wasn't into social media like I was so I had totally lost touch with him since my 2nd trip to Australia with my young family shared above. So I got to know his new wife and baby boy since the start of 2015. Now, because he was not in social media and he was traveling quite a bit too as I was also, we only exchanged messages in Skype which really isn't social media but one of the early means of contacting a friend as an alternative to the telephone! I did read of him skiing with his daughters in Japan and was shuttling between Malaysia and Australia. 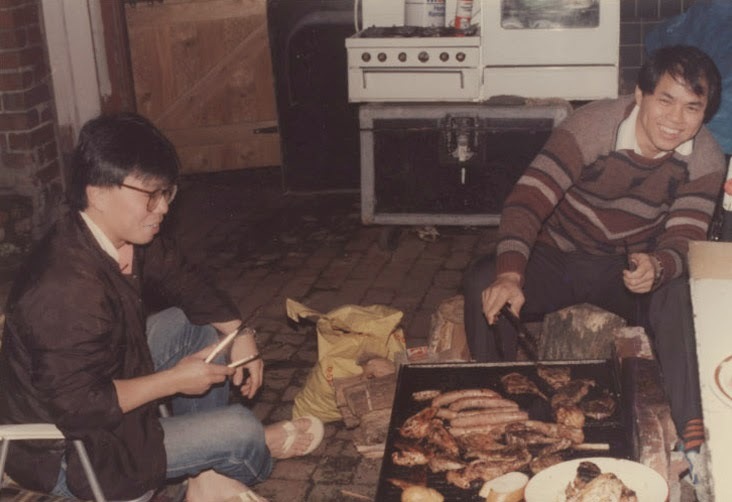 I guess he knew I was following up with my family history in China as well as my own family reunions and business trips to the US so we never got to catch up with each other until I read his Skype message to invite me to his new home in KL for a BBQ! It worked out nicely as after I finished with the young single adults at the Asia Camp at the foothills of Frashers Hill on that Sunday of Merdeka day long weekend of 2018, I could attend his BBQ dinner. Most of the friends were from the apartment he was living in close by before moving to this new home he purchased. The men had a good time together with our man talk. The women were also having a good time at the dining table next to ours. Since the time after we got busy traveling and didn't see each other for a time till this dinner, he had a 2nd child, a daughter introduced to me. But wait, here is their 3rd baby boy introduced to me. He has caught up with my 6 kids, a marvel to me again! The barbecue was on the occasion of Phuong's older sister's birthday. They have another sister not in the photo who recently had a baby. Her husband, on the furthest left, is from South Africa who has his two brothers on the right of my buddy Kim. We now have a contingent of Malaysians, Vietnamese and South African in the house, reflecting the multiracial composition of the population of Australia today! 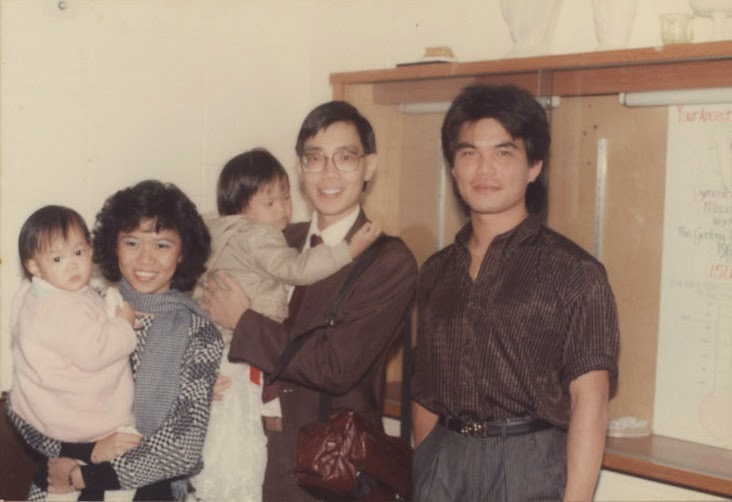 One of the first members of our family I was able to meet up was my niece Michele and family who brought us to a Chinese restaurant near their home in Boxhill. I got to visit Michele's parents with the coincidence that my older sister Mei Lean on the far left was visiting our sister-in-law Hilda from London. I got to see my 2nd brother too who was on the phone when the photo was snapped. 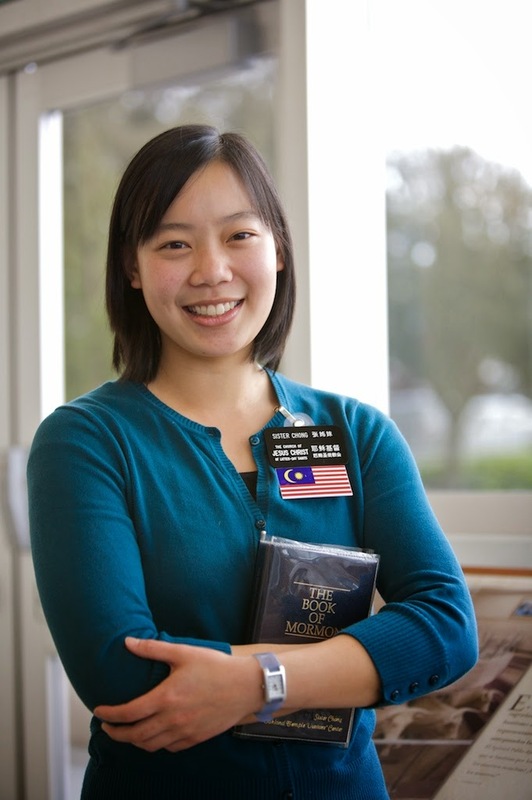 Kim Chuan, who was living in our neighborhood in Kuala Lumpur when we were going to the same school was familiar with my sister and sister-in-law as my sister was then living in the same home with our parents while my brother and his wife were living close by too in their own home. First passing through the Eastern Beach of Geelong, the place and city that has great meaning to me in my life. Then take me to find the home that I had lived in as a student 37 years ago, meeting the landlady herself! He took me to a total of 5 homes that day, visiting my old friends in Geelong and he was surprised how I could locate all these people so fast when he could not find his own old friends from school when he went back home! Toward the last leg of my stay in Melbourne, Kim took me to find another group of old friends which was unplanned on this trip of mine. These were old friends who studied with me in the same class at Taylor's college before we all left for different universities in Australia. 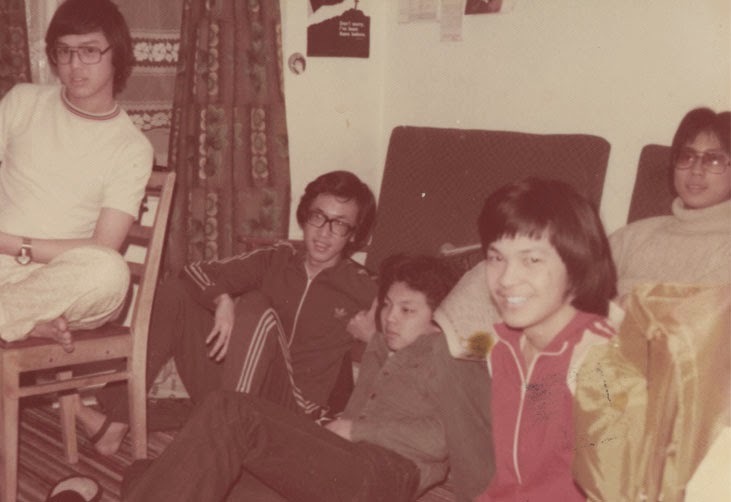 Patricia Chen(far left of the above photo) got in touch with me and gathered Keat Mun(2nd from the left) and Sue(far right) for a nice lunch nearby Sue's home and later got back to her home to catch up with old photos and stories of the days of 1976! This reunion regarded as the third miracle of my trip is covered with more photos and details here. On a fairly warm summer day, with partial clouds and light winds, he brought the family and I out to the beach in Elwood Melbourne. November into December is still pretty cool in the early part of summer on some days especially the nights and as I remember, a typical time to make Melbourne the city with 4 seasons in a day! It's interesting to watch all the activities going on in an Aussie environment quite different from the Asian setting. For a start Asians don't really like to stay out in the sun too much. But we see a small group of Asians on the barbecue pit, naturally close to food. A larger group of Aussies occupying the next pit seem to be having a family gathering with a child and dog. Another group seems to be having a drinking session. Some like this elderly couple, are just happy to be sitting down and reading while others are wading in the water or swimming. In modern times, many are just happy to sit and look into their gadgets or take a nap. ... including a game of chase. A single just loves to sit on the beach alone with his dog. The sunshine and warmth of summer automatically bring joy to everyone. I felt the sense of peace and serenity one gets on the beach by the sea, observing everyone and capturing the mood with my camera. I saw Kim's two sons with their hats and making a sand embankment with their feet still with their shoes on. Sarah stayed with her Mom in the car and I wasn't sure what their Dad was doing but none of us were prepared for beach activity and it was a trip more as a sightseeing visit for me. I could see a couple of people in the water actually getting wet in what would be still very cold water without wearing any wetsuits. Out further in the sea one could see a few more people in the deeper water fully immersed in the cold sea water but I couldn't be sure if they had wetsuits on to keep them warm. More photos from the Elwood beach can be found at this Photolane post. We had a nice breakfast after, compliments of Murray! 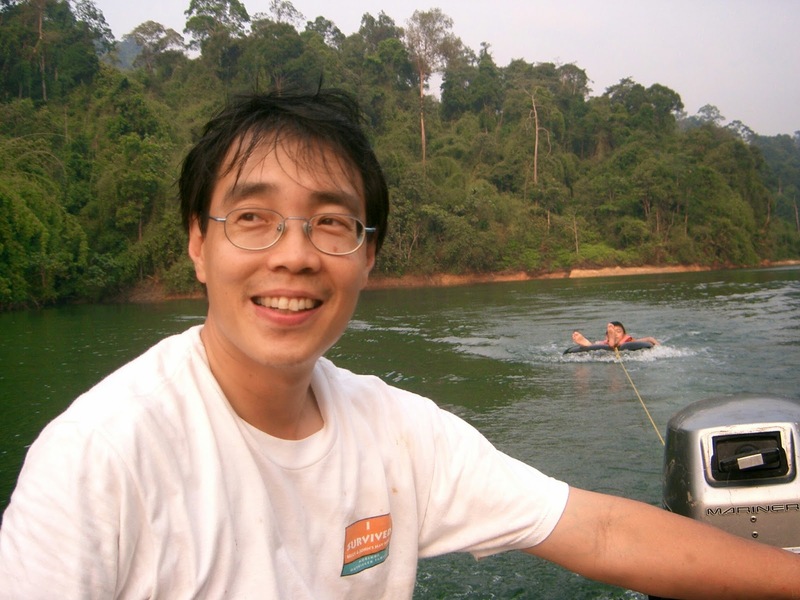 Kim Chuan during the school days was into sports and outdoors too so that is why we got along well besides the reason that he was staying in the same neighborhood in KL. He was more into rugby while I was into basketball and karate though I could play any of the other sports with a ball such as a volleyball, football or hockey with the end in mind that I could one day join anyone in any game with a ball. This included racket games like squash or tennis. When I saw that he had a basketball at home, I told him 'Let's go play ball' and we did. I was so happy to be able to play at the children's school playground for exercise! 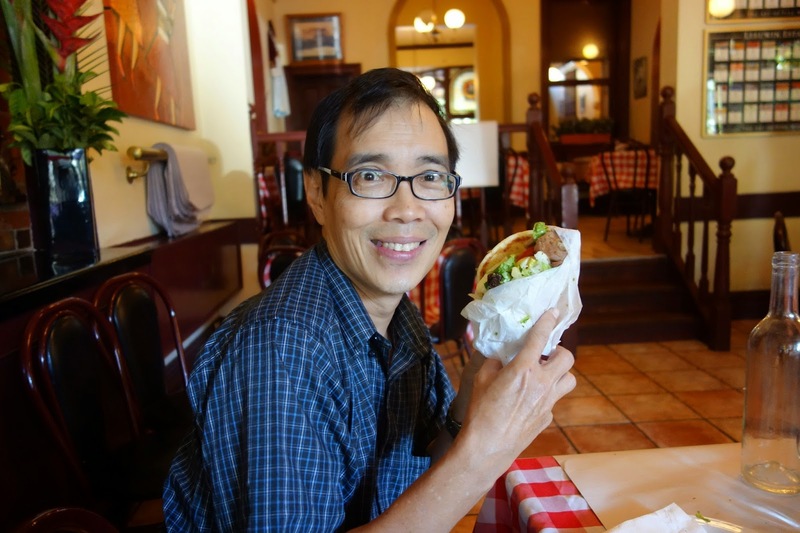 I really felt like 'Dad the KL City Kid' having fun in Melbourne City! We were staying right in the city of Melbourne in the Carlton area near the University of Melbourne and RMIT college. I noticed the city was very bike friendly and there were many bikers commuting every day. Look at the single file of bikes on the bike lane early in the morning rush hour! There were people riding in every direction. even with their little ones. My buddy's family had bikes too but he was very protective of his children to have them ride only in the quiet lane where they lived in fear of poor drivers that ply the streets. He was fearful despite the provision of special bike lanes throughout the city as known accidents have occurred that got cyclists injured or killed! This is the bike trail along the Yarra River. Isn't the city view pretty in the background? A local picnicker below actually remarked that he liked my cool biking outfit! Locals were friendly too like this man with his girlfriend were picnicking by the river and joined me and another who was chatting to share their excess food with us. You can see me holding the food in the photo! We were all strangers to each other except for the couple and we were happily chatting and sharing stories with each other till it was dark! This is how I had always remembered Australians to be, really friendly people, since my tertiary education days here. Isn't the city view pretty at night too in the background? 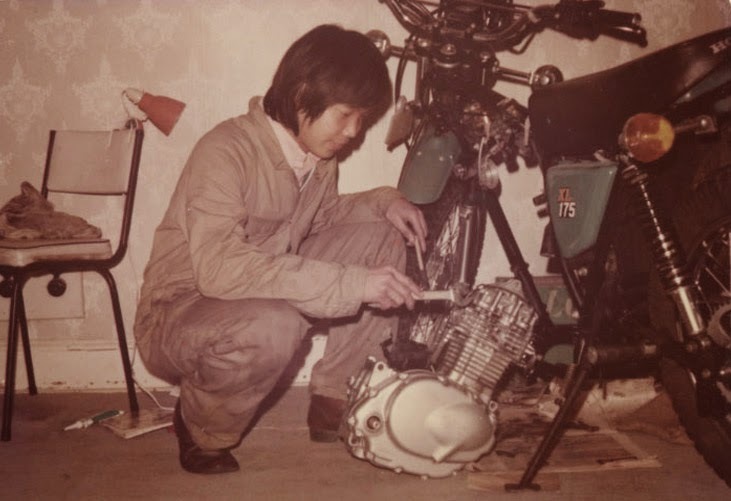 I could tell my buddy Kim wasn't like himself in the younger days where we bike peddled and advanced to motorcycles to ride extensively everywhere together. 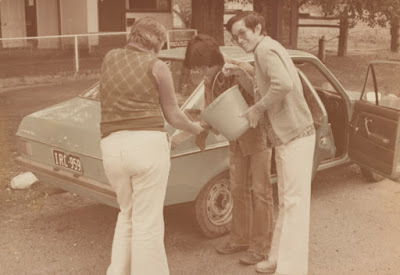 While I had explored Australia on a motorbike as a student, he did the same in the UK too when he was a student there though we had a car as well. He had become more conservative, now that he was a family man, and became very protective of his family members being on a bicycle in the city. ... and the only 4 wheel drive vehicles I had was a Honda Odyssey and a Jeep but the Odyssey doesn't count as it was not an off-road vehicle but a 4 wheel drive on-road car! It was in the US that I bought my Jeep and traveled extensively with it. 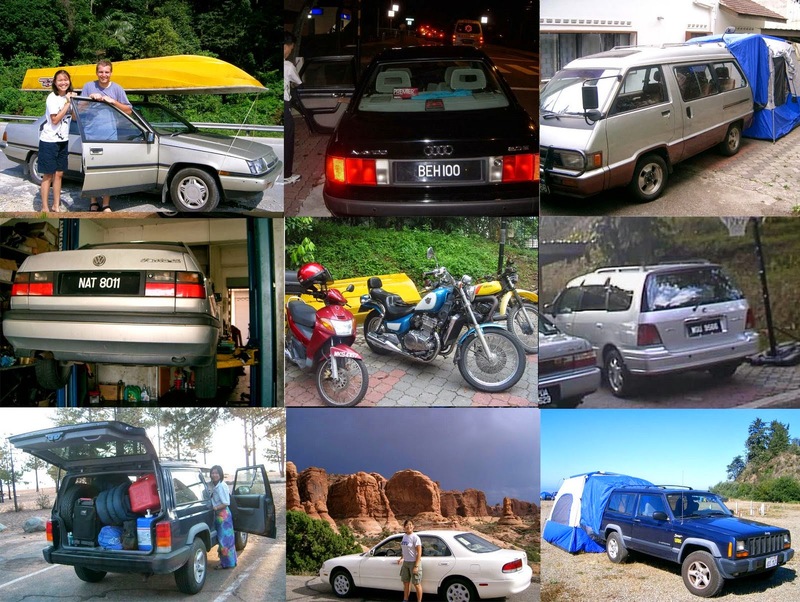 There seems to be similarity in the US culture with Aussie culture in terms of space and terrain to enjoy a wide range of vehicles to choose from. Was grateful for Kim to loan me his favorite UTE out of the fleet of cars he had that brought me places so fast that I had also incurred a few speeding tickets! Drivers beware in Melbourne! Wait for the turn of each car to be driven into the auction hall. While the car is on queue, any interested party can then hear the sound of the engine as it's running and have a closer look at the interior of the car. Once the car is driven into the designated auction room, the bidding starts and the highest bidder gets the car at the final drop of the hammer by the auctioneer standing behind the raised counter in front of the car. Kim happened to meet a relation from his wife's side in the auction room. Indeed you will see many Asians coming here to buy a car for a bargain. In fact, Kim had regretted not putting his bid for a nice white 4 wheel drive Landrover that we had looked at before it rolled into the room, after the last final call with the hammer closing to be sold at AUD2000! Kim decided to use the Bus, a term in Australia for the extra long van and he spent quite some time making sure everything needed was brought along, for a fishing camping trip to Weimby by the Murrumbidgee riverside over the north border of Victoria state into the New South Wales side. 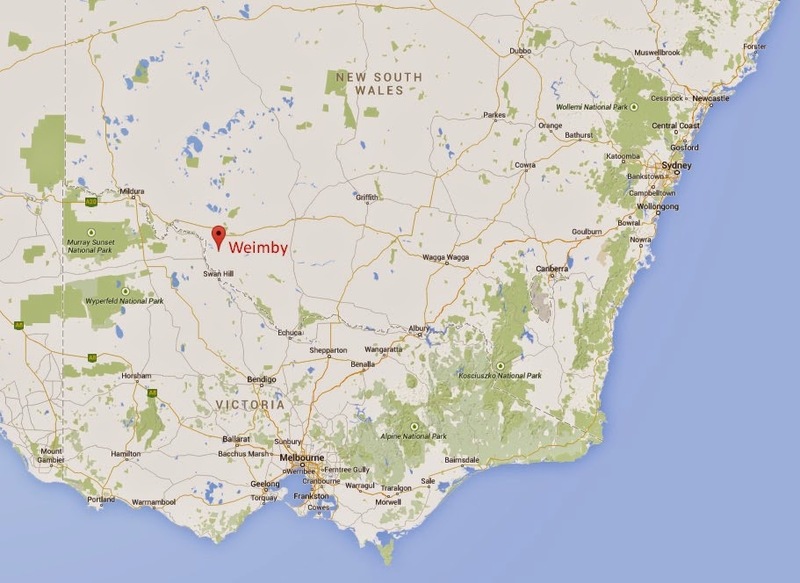 Weimby is a homestead on the Murrumbidgee River in southwest New South Wales situated about 380km north-northwest of Melbourne as the map above shows. The children are all excited to get to the outdoors from the city. It was a long drive that got us to the destination by nightfall, as we started the journey late too, passing through plenty of flat dry looking farmlands along the way. We came by a spot where we had to throw away any excess fruit or vegetables. Of course, Kim and I tried to eat what we could haha! Using the lights from the bus and additional LED lights hung on some branches, we sent up camp! Soon we got everything set up so that everyone could sleep comfortably under the stars. Out in the countryside away from city lights, I could see the many shiny bright stars and captured the beauty of the night sky on camera with the seemingly lifeless tree adding to the beauty of the night scene. Here is another photo of the night sky with lesser obstruction from the tree. In the morning, I found Kim was already up and had set some lines out to successful catch some fish so that our lunch was guaranteed to have fresh fish on our menu! Kim's wife cooked the fish and this one had fish eggs as well. The carp was fried while the yellow belly fish was cooked in curry. Besides getting food from the river, it was also clean enough to swim and have fun in it. We find other fishermen hungry for Calamari too! Yours truly joins in the fray. ...and the calm water giving a mirror-like reflection of the night lights too. Kim's patience and skills pay off again. ...and abalone plucked from underneath the pier! Yummy middle of the night snack! 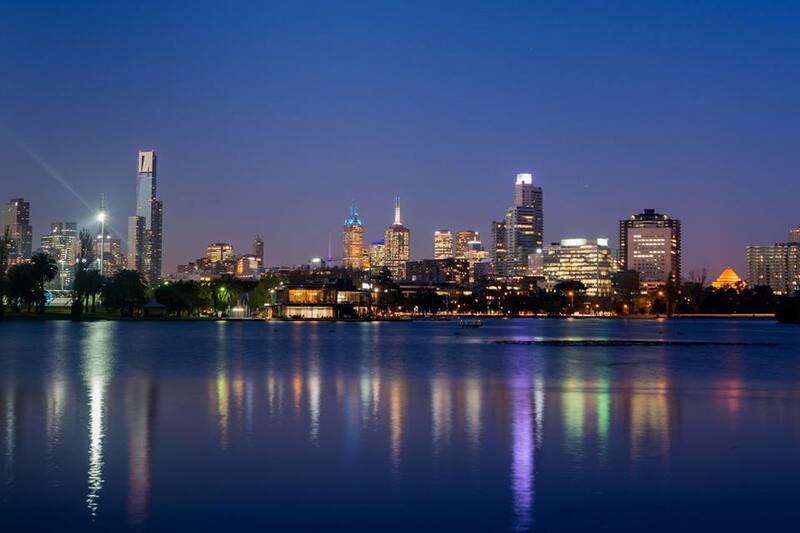 Melbourne, Australia was ranked by the Economist Intelligence Unit as the World's most livable city since 2011. The latest ranking chart of August 2014 is seen below. 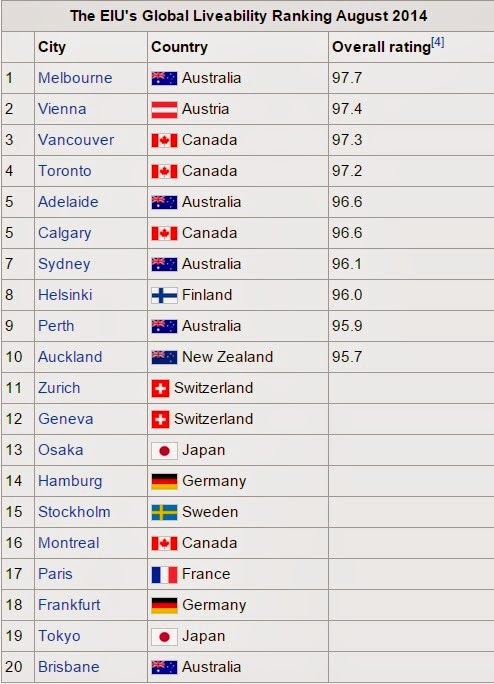 One can refer to more details of how they rank the cities of the world as most liveable here. Let's look closer at the infrastructure of the city. 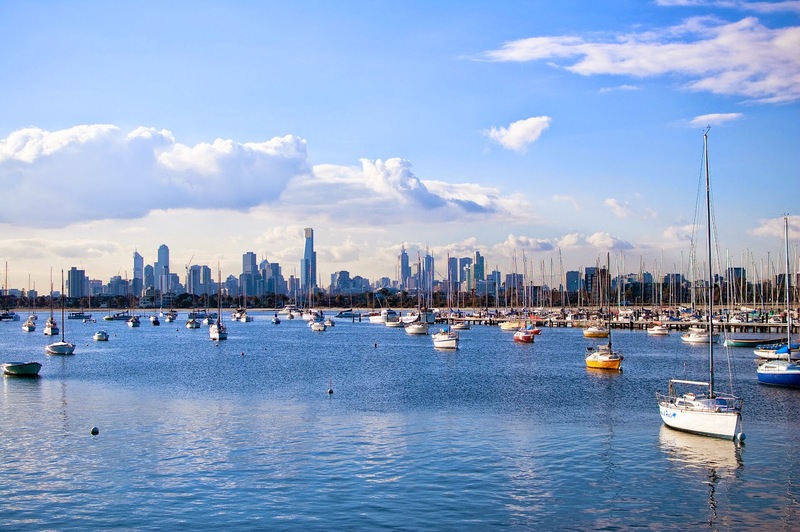 From the view above of the city skyline from St.Kilda beach in the south of Melbourne, let's zoom in closer toward the tallest building in Melbourne known as the Eureka Tower. See it above, with 88 floors it sticks out in the horizon. This view is taken from the War Memorial building known as the Shrine of Remembrance. The history behind it can be read here. The view of the city skyline was captured from the balcony or promenade on top. Click here to view a borrowed video taken from a helicopter over the building with a spectacular view of the city skyline. Sunk into the center of the Sanctuary floor like a grave, the Stone of Remembrance is a potent reminder of the sacrifice made by Victorian service men and women. The inscription GREATER LOVE HATH NO MAN is taken from the Bible, the Gospel of John, 15:13. Ray of Light ceremony - The Ray of Light ceremony is central to the experience of the Shrine of Remembrance. A ray of natural sunlight passes through an aperture in the ceiling of the Sanctuary and falls onto the Stone of Remembrance over the word “love” at precisely 11.00 am on 11 November each year. This is the moment when the armistice was signed in 1918 marking the end of hostilities in the First World War. The ceremony is now reproduced every half hour using electric light to allow all visitors to the Shrine to experience it. Frank Doolan, the surveyor of the Shrine, and astronomer, Dr. Joseph Baldwin completed the arduous calculations to position the aperture with the help of the government. Decades later, Doolan solved the problem presented by daylight saving by inserting two mirrors within the aperture’s shaft. A first nice place for photos in the city would be just walking along the Yarra river starting from the Princes bridge, originally Prince's bridge, as shown by the red arrow turning left along the riverside in the above photo. See how pretty the scenery is with the city skyline is just along the riverside with many rowers enjoying their sport. Here I am by the broad walkway on the riverside, a bit overdressed as I was visiting a business office earlier and tried to look casual smart. 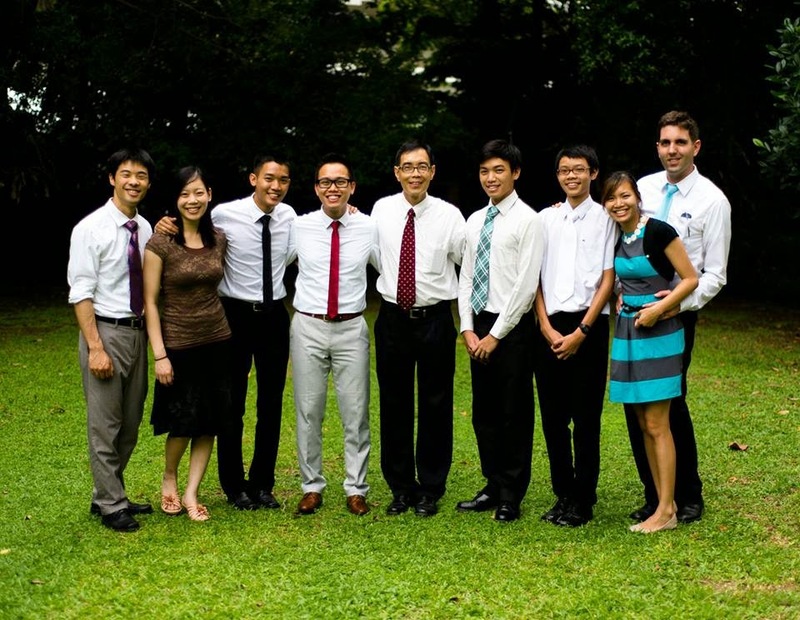 Well, I knew I was definitely not overdressed when I saw this bunch of young people! I did talk to them to find out they were celebrating the end of their school years and they were in some kind of official function like a year-end ball in the evening and a river cruise in the afternoon. I observed the crowd of people in a cafe in the middle of the river under a Christmas wrapped bridge that went across the river. I decided to use it to cross over to the other side where I could see the Flinders Street station building by the Gothic spire of the St. Paul's Cathedral. A couple is seen kneeling down engrossed with the padlocks that seem to be symbolic of couples wishing to seal their love together. A very enchanting bridge indeed! The young singles seem to think it's romantic. The Lock of Love, read the News. In the background of the bridge seen from the other side of the river, I see the tallest building sighted in all previous skyline photos of Melbourne city, the Eureka Tower. I planned it to go up there an hour before it gets dark, about 7pm so that I could capture both daylight photos of the city from the 88th floor as well as night ones. I found my way from the riverside using a pedestrian tunnel to come out to the street level of the Flinders Street Station. It was interesting to watch that the people could cross the street using the whole stretch of the intersection area in front of the Flinders Street Station as no vehicles were allowed into the marked intersection area during the time pedestrians were allowed to cross. After I had explored the other side of the river where the Flinders Street Station was, I crossed back to where the Eureka Tower building was to reach it by 7pm as planned. Here we go up to the Skydeck on the 88th floor! At the top, I could have a 360-degree view starting with a view to the south to follow St Kilda road to see the Shrine of Remembrance building where I had first started my walk to the city center. A further turn to the left or towards the north gives me the view of the city skyline of North Melbourne and I could see Flinders Street station where I had visited earlier with its distinguished clock tower and multiple railway tracks. Another turn to the left and we can see the sun setting in the west in the Docklands part of the city where the Yarra river flows towards and finally south to the sea. The final turn brings us back to face the southern part of Melbourne where St. Kilda beach lies thus completing a full 360-degree view of the city from the top of the Eureka Tower. According to the original map earlier in the post of a plan to walk into the city centre from the Shrine of Remembrance near St.Kilda road from south Melbourne heading towards North Melbourne, I had accomplished the walk to the city centre along the Yarra river starting from the Princess Bridge, crossing to the Flinders Street Station and ending with a day and night view from the Skydeck of the Eureka Tower on the 88th floor. All the photos or videos displayed are from my own camera with rare exceptions of some photos or videos that may be used where the 3rd party source is revealed. An example of a third party source photo is below. This is a photo of the corner of Swanston Street and Flinders Street which I obtained with the amazing technology of Google Maps which has an image gallery that corresponds with the street addresses on its map! The photo had a date stamp as 'Street View - Jun 2014' which is as accurate as it can be if I had taken it in Nov/Dec when I was in Melbourne. One day in Melbourne when I was in a shopping mall which had an artist displaying his works and I took a photo of this piece of art where I was told the building on the right is known as Young and Jackson. Below is the area of a display of the paintings of the artist. Only the wife of the artist was available to talk to and I was told that Young and Jackson was famous as a common meeting place since the early days of Melbourne's history. I had not taken a photo of that particular corner view during my trip and as I'm doing this blog post now, I thought I would try out Google Map for 'Young and Jackson' and not only did the above photo was found, it also gave the address as '1 Swanston Street, Victoria, Melbourne' on the top left corner of the photo. How wonderful! This Walk-About section of the post is a continuation of the plans to explore the city carried out on different days following the areas of the city covered by the red arrows that run through the city centre from the popular main street where all trams pass through, i.e. Swanston street which continues down south to St.Kilda road via the strategic Princes bridge seen in various photos above on the beautiful Yarra River. Melbourne is known to be an interesting city as one can go to a different area or part of the city to find different things of interest. ...many trams, cyclists and artists. You will be walking by 3 statues of art on a busy street corner! Let's take a break and listen to some music from a live performer on Swanston Street. Here is something interesting about the Google Earth photos and you can do a virtual 'Walk-About' tour of Swanston street with me too using it. Here is how you can do it. Click on the no. 1 Swanston street link on this paragraph but before you do it, make sure you read the next paragraph to learn how to move on a northerly direction from no 1 Swanston street to 125 Swanston street where the girl is playing her keyboard as per the video above. When you click the link, it will show you a Google Earth photo. You will see the Swanston street sign close to the middle of the photo. Move your cursor to the middle of the photo. Click the left button of your mouse and keep it pressed as you move the mouse to your left. You will see how the photo will rotate to the left and do it till you are facing the center of Swanston street facing a northerly direction. If you under or over rotate, just release the left click button and move the cursor to the center of the photo again. Click the left button of your mouse and keep it pressed as before but pull it to your left or right depending on which direction you want to rotate. The objective is to face the street in the center of the photo. When you move the mouse over the street, the cursor will have a shadow arrow pointing forward and if you click the left button of the mouse anywhere on the street, you can feel you're advancing to that position in nanoseconds with a whole new photo view of that position with capabilities to rotate left or right as before. Note that if you got lost and like to return to the start at No 1 Swanston street quickly, you can click the top left arrow of the black box with the street name found in the photo which will bring you to Google Map view. 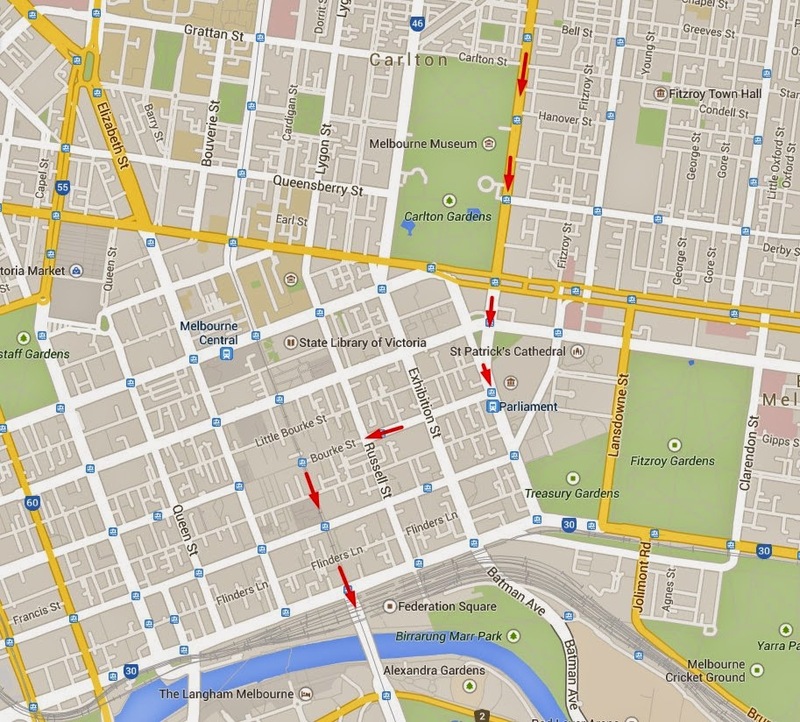 Click the 'Street View' photo and you will return to the Google Earth mode where you can start the virtual 'Walk-About' tour on your own of Swanston street. Note also that the address black box on the top left does give you the street number of where you are if you click on the right path along the road. Here is a challenge or game for you as you master maneuvering in the Google Earth view. Try to find which of the photos above on Swanston Street will not be seen if you walked the path I walked from 1 Swanston street to 125 Swanston street? Whoever put the first correct answer in the comments section below of this blog post will win a free real bike tour in Kuala Lumpur city, not a virtual one, hosted by me! This is Boris on Hosier Lane on the south east side of the central part of the city in between Flinders Street and Flinders lane. He met me after work in Collins street close by after work and walked here. We could see a street artist doing his work carrying a spray can and as explained by Boris who has been observing this street for years, the images are constantly being sprayed over with a new one whenever one gets written over by some writing so that the space will be sprayed over with another new piece of art. I happened to take another photo that shows a larger part of this wall the artist is looking at. Here is the photo showing the entire wall where the artist has started his new painting over one of the two blue figures on the wall. 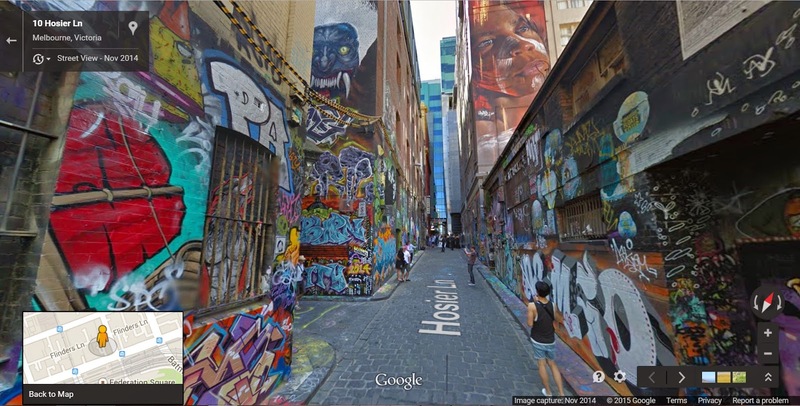 I went to check the Google Earth street view of this same spot on Hosier Lane to see the photo above recorded to be taken in Nov 2014 while my photos were all taken on the day of 11 Dec 2014. You can see that the older photos of November do not have scribbled red writings on the left of the blue figure nor in between the two figures that are found in my Dec two photos above. Apparently, such writings or paint over on an original mural on the wall triggers off another artist or maybe the same one who did the first mural to spray paint over it with another newly created artwork. If you have tried the Google Earth street view link to take the maneuvering challenge from the No. 1 Swanston St in the 'Walk-About in the City' tour of Swanston St above and successfully followed the instructions given, you might want to explore the street art in Hosier lane by clicking the street view link given above. Turn towards the left to head in the direction of Federation Square on Flinders Street where Hosier lane ends but stop in the middle of the lane where the top left box shows you are at 10 Hosier lane. Then turn around the view to face back to the direction we started ie on the Flinders Lane end where the artist was working. You should get a similar view in Google Earth as above but if you had difficulty maneuvering to get to this point, just click here. This street view is on Nov 2014 and compare it to the one below that I captured on Dec 2014. One can observe that within a month there have been new paintings done over the old ones especially when they are at lower levels within reach. The left corner where there is a lane to the left has visible new artwork at the lower level but at the upper level, the old artwork remains untouched. Notice on the bottom left part of the photo is where Boris stood in the very first photo of him above with the same artwork behind him that looks bigger from a direct front camera shot of it. On the right side where the person in blue in shorts is standing in the Google Earth street view, we can see that a month ago there were white paintings on the walls but not found in my photo below it taken in Dec 2014 where the person is absent. As my camera did not have a fisheye lens to capture a wider angle all round as what I believed the Google company used for its Google earth street view photos, I had to point my camera upwards to capture the large painting on the wall of the tall building. The painting obviously was left untouched from a month ago as it would be a big task for any artist to paint another image on that wall! If you couldn't maneuver to reach this point, just click here. to get the same viewpoint as above. You can then move forward to the end and turn right where the tall mural is, then move forward again to meet up with Hosier lane again, exploring the walls as you follow the trail. Turn left on Hosier lane and move to the end to find the same location we started at where the artist was shown working on the walls as per my photograph on Dec 2014. Something to note about Google Earth street views is that photos of the streets are captured periodically and there is an option to choose which year's view is desired. The street view below of the same location as the artist working that we started with above shows no street art at all as it was captured in Dec 2009. From this feature, one can truly see how city streets have changed over time and in the case of Hosier Lane, it appears as if a major facelift was undertaken by the city hall when in fact it has been the work of many street artists voluntarily beautifying the street with their talents. 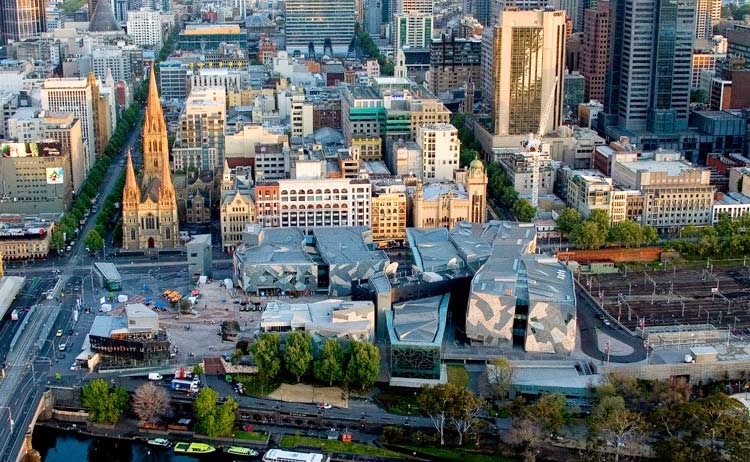 Aerial view of Federation Square. See the old St Paul Cathedral with the rest of the old commercial buildings on its side of mainly beige color compared to the bluish artsy designed modern Federation Square buildings in the front. It is located at the intersection between Flinders Street and Swanston Street/St Kilda Road in Melbourne's Central Business District, the very same center where I earlier had started the 'Walk About' in the city along Swanston Street on this blog post. The 'Fed Square' as locals call it is supposed to be a home to major cultural attractions, world-class events, tourism, an exceptional array of restaurants, bars, specialty stores and has become the city's meeting place. You can read more about the history and design of the place by clicking the 3rd party source link above. The red arrow shows the short tram journey to make. It's a hot summer's day in Melbourne about 2 weeks to Christmas and if I didn't run into Santa at the tram stop, I wouldn't be reminded that Christmas is just around the corner in the hot weather! Santa was happy I could give him a few dollars for a calendar for Christmas! I took this photo of the Royal Exhibition Building which has a significant history. The Exhibition Building and Carlton Gardens were completed in 1880 for Melbourne’s first international exhibition, a product of the optimism, enthusiasm and energy of the people of Melbourne in the late-19th century. The Royal Exhibition Building and Carlton Gardens were inscribed on the World Heritage list on 1 July 2004, becoming the first building in Australia to achieve World Heritage listing. Today, the Royal Exhibition Building is a campus of Museum Victoria and the gardens are managed by the City of Melbourne. The Carlton Gardens is right in the city and many enjoy its beauty and the pleasantness of nature as I do. Take a look at other photos of the Gardens I took while strolling in the park previously. Along Nicholson Street, there are many old Victorian style homes that also contribute to the unique and beautiful culture of the city. 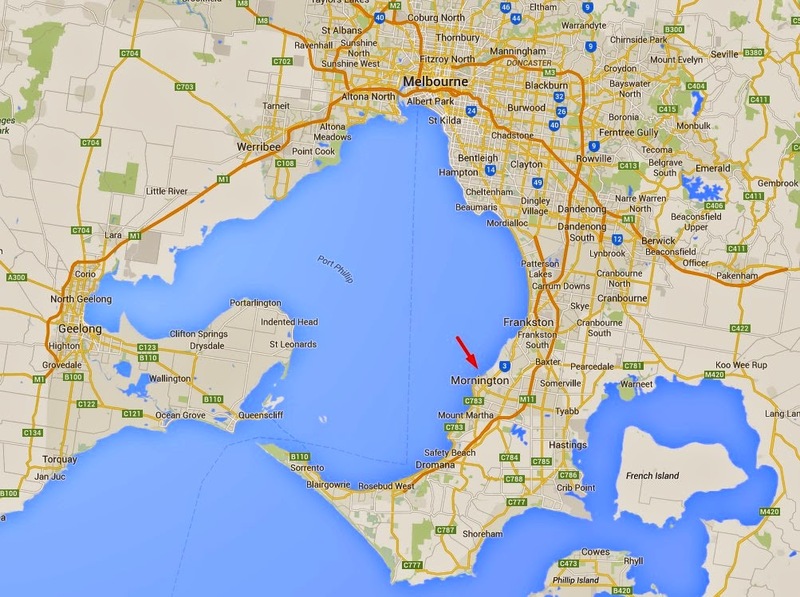 Here is something interesting that happened that I only realized after leaving Melbourne. My interest in the old homes made me take the following pics along Nicholson St.
Terraced houses in Australia refers almost exclusively to Victorian and Edwardian era terrace houses or replicas almost always found in the older, inner-city areas of the major cities, mainly Sydney and Melbourne. Terraced housing was introduced to Australia in the 19th century. Their architectural work was based on those in London and Paris, which had the style a century earlier. Many terraces were built in the "Filigree" style, a style distinguished through the heavy use of cast iron ornament, particularly on the balconies and sometimes depicting native Australian flora. As some terraces were built speculatively, there are examples of "freestanding" and "semi-detached" terraces which were either intended to have adjoined terraces or the neighboring buildings were later demolished. In the first half of the twentieth-century, terraced housing in Australia fell into disfavor and the inner-city areas, where they were found, were often considered slums. In the 1950s, many urban renewal programs were aimed at eradicating them entirely in favor of high-rise development. In recent decades these inner-city areas and their terraced houses have been gentrified. The Melbourne style incorporated decorative cast iron balconies (of the filigree style). The demand for imported cast iron eventually led to local foundries. As a result, today Melbourne has more decorative cast iron than any other city in the world. Melbourne style terraces were often set back from the street rather than built to the property line, providing a small front yard. The earliest surviving terrace house in Melbourne is Glass Terrace, 72–74 Gertrude Street, Fitzroy (1853–54). Royal Terrace at 50–68 Nicholson Street Fitzroy, completed three years later is only slightly younger and is the oldest surviving complete row. 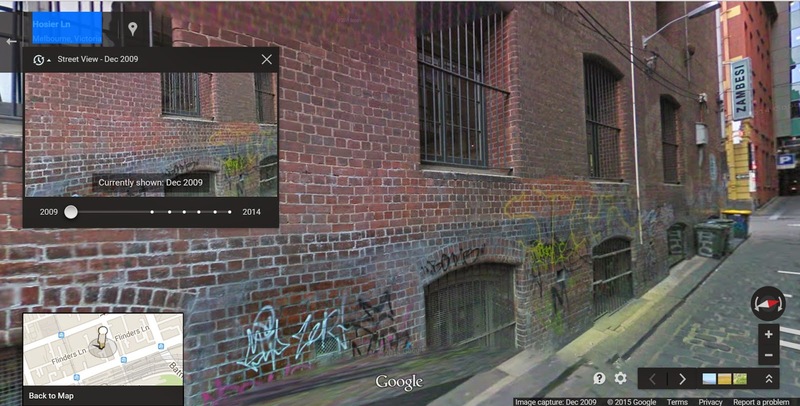 I checked Google Maps for 68 Nicholson St and found this Street View! It was a pleasant surprise to realize that I had actually taken the photo of this special row of terraced houses without realizing then of their historic significance! After sharing the story of my interest in nature and old buildings, including the coincidence or luck of taking the right photos of houses of historical significance on Nicholson Street (which can be shared in the Story of 7), the tram is now in the city center area along Bourke St. where I get off before the intersection with Swanston Street. This is the intersection with Swanston Street where the direction to the Federal Square is on the left to catch the next tram there. I had earlier got off the tram stop about 20 feet before this intersection and went into a 7 eleven store to top up my 'myki' fare card. Click here to see the 'Street View' of the tram stop and the 7 eleven store where I topped up my card. You can swing the Street View to the left to check it the above intersection matches what you see by comparing the white building at the top left of the photo. Isn't Google Earth street views and maps cool? If you like to try another Google Earth "virtual tour" of a beautiful and remote park in Hong Kong that I've been to, click here. ...and I've reached the destination! 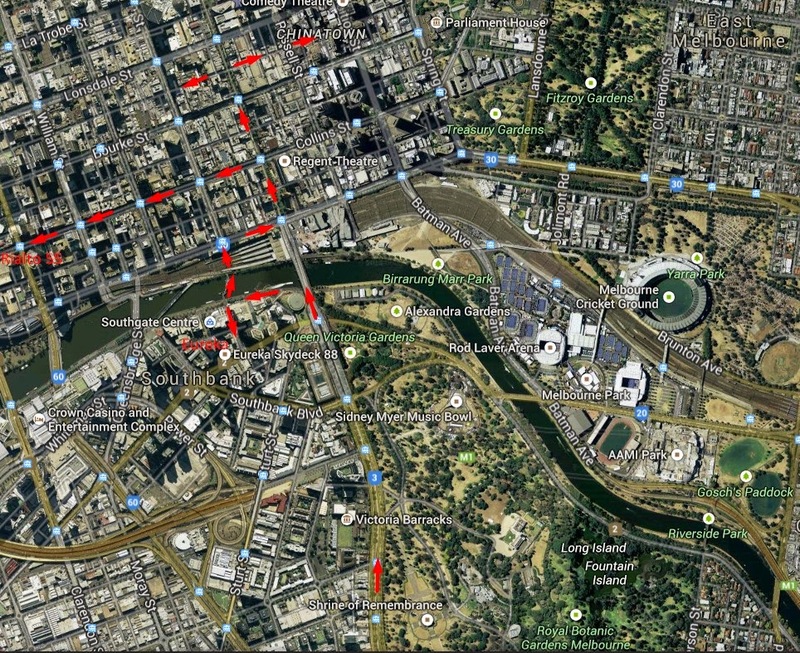 You might want to read a little bit of history of Federation Square here which covers interesting information on the Princes Bridge, St. Paul's Cathedral, the Young and Jackson building plus others in its vicinity besides the developmental history of the site itself. Here is a map to show where everything is. Better still click an Interactive Map and choose from the menu on the right your interest and the location will be indicated on the map. Try it. 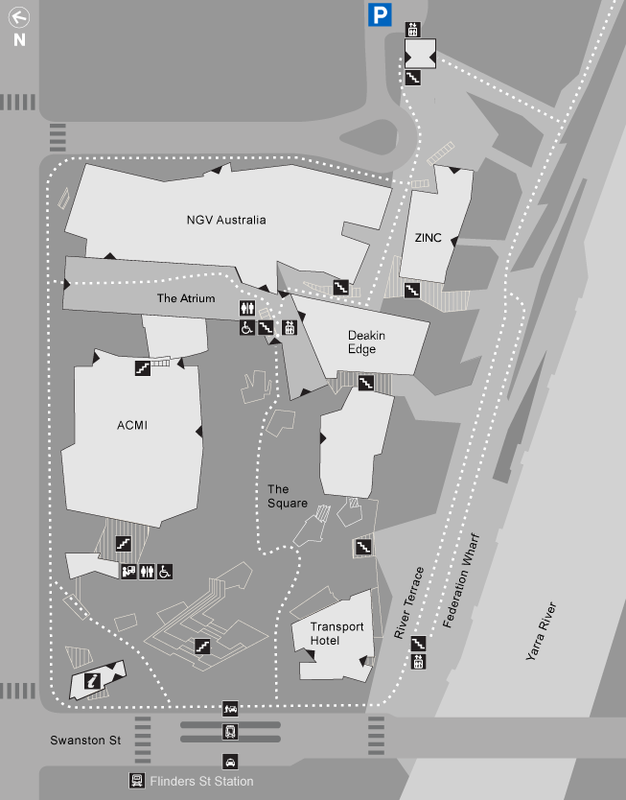 Easily located in the information center right at the corner nearest Swanston St and the Flinders St Station is seen on the bottom left of the above map. It is an impressive centre with friendly customer service personnel ready to answer your questions or direct you to more information on the shelves containing an array of brochures with wall posters and maps as well. I was attracted to information on Bike Trails! Now here is something cool. Fed Square has so many events at different times of the year that I cannot possibly cover and since this travelogue post that I've done cannot accommodate all the photos from this site alone, there is a dynamic website to do all this that I cannot do! Click here to appreciate what is in Fed Square or what live events are on any time of the year! At the CPA office, a major occupant of the Twenty8 Freshwater Place. Measuring myself against the 5 top skills wanted in the modern world: Portability, Agility, Breadth, Specialisation, Soft Skills. Hmmm... need to check my profile and resume. At a lounge on the Rialto Towers with a view that one could not get from the Eureka Towers, the tallest building in Melbourne, such as the one below. Can you see the CPA office building zoomed in below? It's just across the river from the Rialto Towers nearby. Collins Street is a well known premier street of Australia and for a long time a center of finance of Australia. Among the well-known buildings of Rialto Towers, 101 Collins Street, The Age building, The ANZ bank, and many others are found in Collins Street. Even our Malaysian renowned bank CIMB is listed as a tenant at 101 Collins Street with their detailed address stated on this website. They have successfully made a good life in Australia being accountants, general managers, businessmen, government employees, tradesmen, chefs, lecturers and even in the police force. The Aussie accent first caught my attention so I walked closer to the screen to read the movie title as "UNDERGROUND: THE JULIAN ASSANGE STORY." The name Julian Assange was unfamiliar to me so I googled it to find info1 and info2 at Wikipedia. Wow, on quick reading, he sounded like another geek and a hacker that I chanced to come across who is from the US whom I had written a post about whose name is Aaron Swartz. The big difference is Julian is still alive while Aaron had sadly committed suicide. How come one may ask? I watched Julian's movie and recorded the last part where he was finally caught. I read info2 above of Julian Assange as follows: In September 1991, he was discovered hacking into the Melbourne master terminal of Nortel, a Canadian multinational telecommunications corporation. The Australian Federal Police tapped Assange's phone line (he was using a modem), raided his home at the end of October, and eventually charged him in 1994 with thirty-one counts of hacking and related crimes. In December 1996, he pleaded guilty to twenty-five charges (the other six were dropped), and was ordered to pay reparations of A$2,100 and released on a good behavior bond, avoiding a heavier penalty due to the perceived absence of malicious or mercenary intent and his disrupted childhood. The Wikipedia post of Aaron Swartz reports as follows: On January 6, 2011, Swartz was arrested by MIT police on state breaking-and-entering charges, after systematically downloading academic journal articles from JSTOR. Federal prosecutors later charged him with two counts of wire fraud and 11 violations of the Computer Fraud and Abuse Act, carrying a cumulative maximum penalty of $1 million in fines, 35 years in prison, asset forfeiture, restitution, and supervised release. The severity of the American penalty for Swartz could be a major reason why he committed suicide while Assange is still alive today but not totally free. In 2012, facing extradition to Sweden, he was granted political asylum by Ecuador and took refuge at the Embassy of Ecuador in London and at this time of writing, he is still there. Here is his appearance on a 60 minutes interview on 4 Aug 2013. More information of Bradley Manning(later changed to Chelsea Manning) mentioned in the video can be found here. I feel grateful that I took a dual major for my university degree in accounting and computers at Deakin in Geelong. 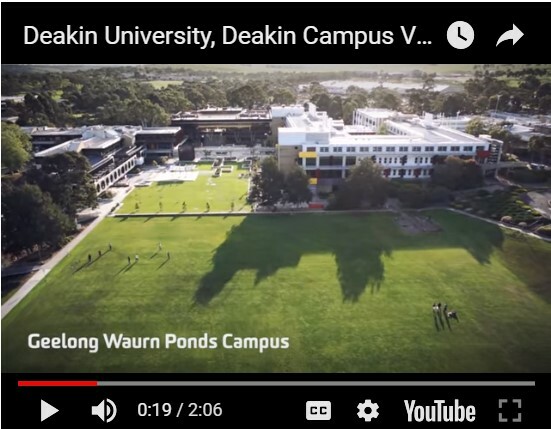 It wasn't much at the university then when I was the first batch of students in 1977 where Waurn Ponds in Geelong was the only campus unlike what it's grown to become today with a campus in Geelong waterfront, Warrnambool and Burwood Melbourne as well. For accounting, I passed all the necessary subjects in accounting and law to be an associate of the Australian Society of Accountants after I graduated which has become known as CPA Australia today. 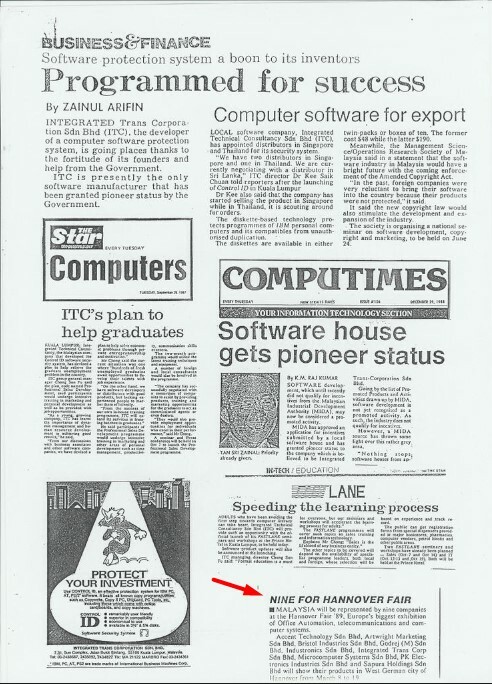 Computers were still new in those days with no PCs available and Deakin then was only using a PDP 11 by Digital Equipment Corporation (DEC). It was a 16-bit minicomputer that had a card reader to feed data to the computer! Nevertheless, we did learn the basics of low-level assembler language and high-level programming languages of BASIC and COBOL besides all the theories of the new computer field. I can't imagine that from then till today, I've grown through several phases of advancement in this rapidly changing technology from using a mini computer to PCs, laptops, and smartphones with greater connectivity because of the internet. 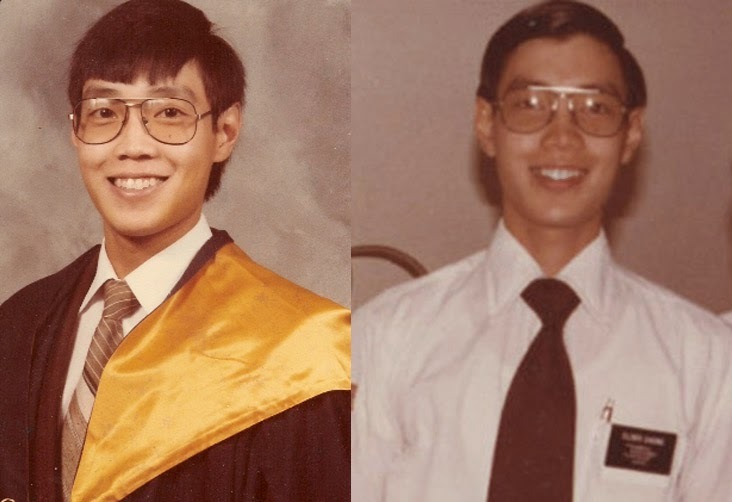 The accounting and legal training did help me learn how to systematically manage information through proper sorting, indexing and filing techniques which were helpful for understanding computer applications but doing a dual major was still challenging. I only did it as I saw accounting students failing computer subjects while computer students could not handle accounting academia and ledger exercises to suggest to me that if I could handle both disciplines, I would be in greater demand one day for my career. The computer knowledge that I first gained from Australia gave me the confidence to eventually leave the audit profession while maintaining my business and management skills to launch into the IT business which I knew would shape the future or change the world. This decision has also helped me keep up with the changing technology and this particular travelogue post does reflect the usage or my attempt to use the latest technology available in the world wide web today. I built our own familylane.info website and have not changed the format of its cover page since it was first built close to 10 years ago. I have used it to reflect historical changes and becomes an index to my blog writings, photo albums, videos and Facebook connections to family members who keep growing in numbers thus a family tree chart has been added to it too. If you look at the left red column of highlights, you can see doing down the column a chronological order of blogs, newsletters or web pages that I've been using to connect with family and friends as early as 1992. Of course, the internet was not available to us in Malaysia then so using publisher to make newsletters and sending them by snail mail was how it was all done in the beginning. The latest way today has to do with access to smartphones and I created a totally new format in the form of Photolinks which you can view by clicking the link given or the photos at the bottom of the web page or copy this address " www.familylane.info/photolinks " to paste on your computer or smartphone browser as it is designed to be compatible to both devices. With the advent of the touchscreen technology in tablets and smartphones, photos and graphics become more visible, attractive or more important than words. Photolinks provide the option of just to see the photos or enjoy the stories behind the photos! Oh... in my sorting of my thousands of photos, I picked this old photo below, earlier in my day of writing this Familylane post as well as multitasking (something I perfected in using computers) to have the photo scanned with others that I can later file them in appropriate folders in my hard disk. It caught my attention because it was not a good copy which I had kept in a reject file but when I looked at it today, a sudden flash came to my mind to make me realize this is probably the only photo I have of what I have called a 'luggable' computer! It came out in the mid-80s before laptops or notebooks were made. Its size and weight made it more like carrying a small luggage bag so it got the name of 'luggable'. As seen in the photo it is in a horizontal position with a small green monitor on its side and an external keyboard. This keyboard is designed to clip on to the computer casing to cover the monitor and serve as a base when the computer is turned upright or vertical where the keyboard becomes the base. There is a handle on the top, when the computer is in vertical mode, to make it like a luggage that can be carried. This model didn't last very long in the market as it wasn't really portable to be brought anywhere like laptops or notebooks that came out only much later. 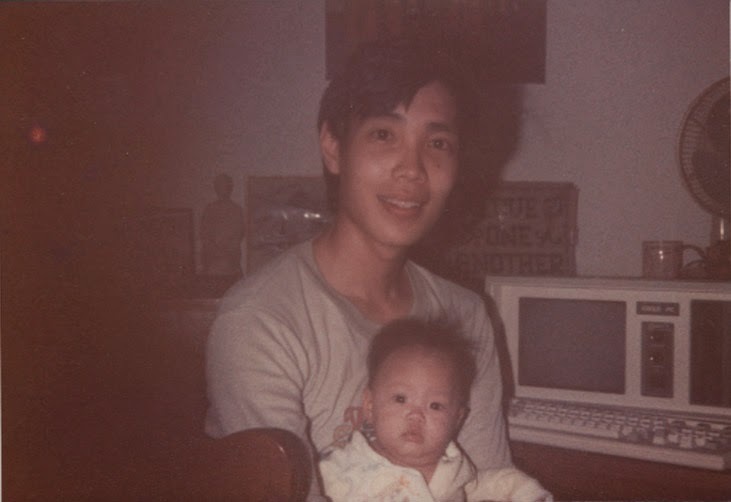 Fei our 1st child and daughter look just over six months old which helps me identify the year to be 1985 when this photo was taken with the 'luggable', which uses the MS-DOS operating system. Yup, there was no Windows then with icons to click nor a mouse in existence to do it either! One would only see a 'C>' and a cursor blinking on the mono-color screen, waiting for a specific word command to be typed and accepted by a return key in order to execute a program! This photo was taken just a few days ago in Feb 2015 where I multitask with two notebooks, one with a Windows 7 and another 8, with a couple of smartphones by the side not forgetting a large scanner and color printer for use. I have an iPad always on standby due to it's very low energy consumption which allows it to be on standby mode for many days so that on a push of a button, the tablet screen immediately lights up and I can quickly access any apps without waiting by just touching the relevant icon with my finger! A big difference from the 'luggable' computer days. Let me now share some photos of the time when I was at Deakin in Waurn Ponds Geelong and the photos I took in my recent visit not only of my old campus but also the new ones that I could visit. 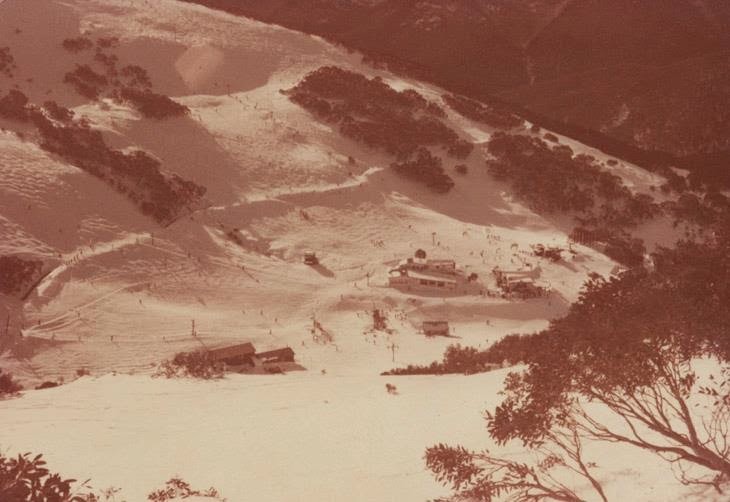 These photos were obtained from external sources under the title of 40 years of History of Deakin. 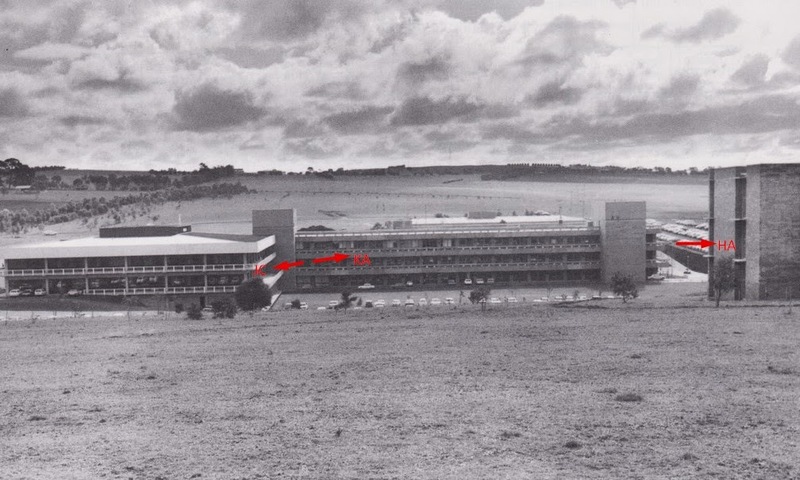 (in 2014) I was part of the history, being the first batch of students to start at the Waurn Campus in 1977. 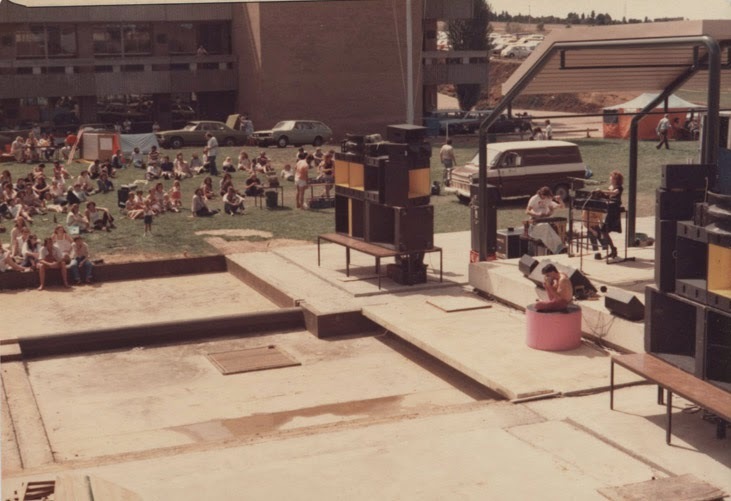 That was how it looked 37 years ago in 1977 in the first year of the opening of the University where I was the first batch of students at Deakin. Now here is something interesting. 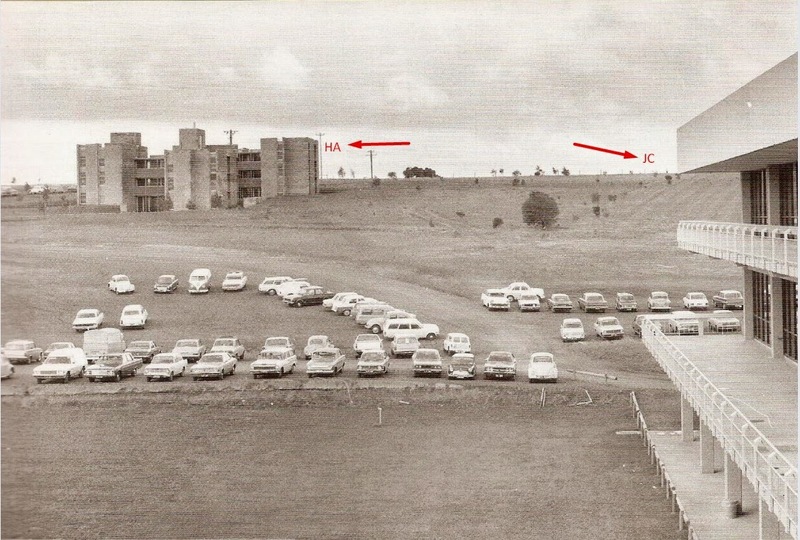 If you enlarge the above photo, you will see red arrows pointing to the alphabets I've named the 3 buildings, from left to right JC, KA, and HA. JC and KA are the academic buildings on the lower ground while HA on the right that is only partially revealed is the student residence apartments on a slightly higher ground. Now, this is a map I photographed while visiting the campus in Dec 2014 to find that many buildings have been added on over the years since 1977. I was totally lost even when walking on the campus itself and didn't really know where I was nor could I recognize the buildings around me as the landscape had changed so much. Before it was just dry farm land but today there are trees, plants and walkways beautified and landscaped around many more blocks of buildings that made it all unrecognizable. Luckily I took a photo of this campus map and did some homework much later to figure out which were the old buildings that I knew and there were only 3 as named JC, KA and HA. I did not have any of the photos above of the campus but only the following with narrations and side stories added. Didn't they say 'A picture is worth a thousand words'? I just knew this was the open space between the two main academic buildings we had a live band playing for different activities during each year. 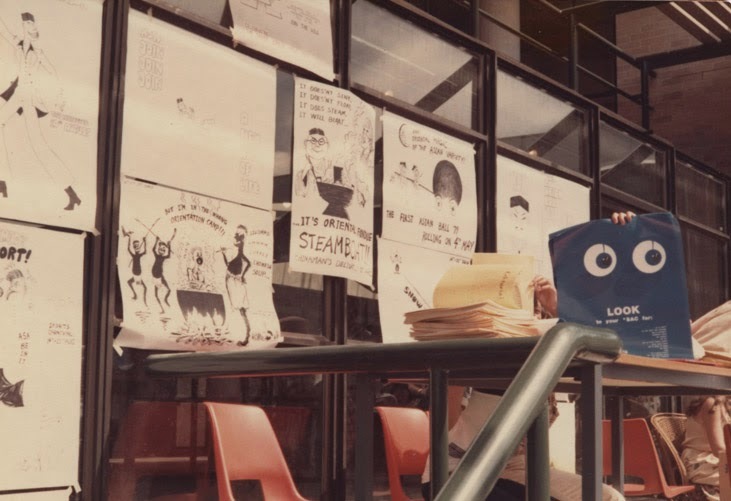 This I remembered organizing our stall for the Asia Students Association to publicize our activities with cartoon posters. We had a hard-working committee where I was the treasurer. 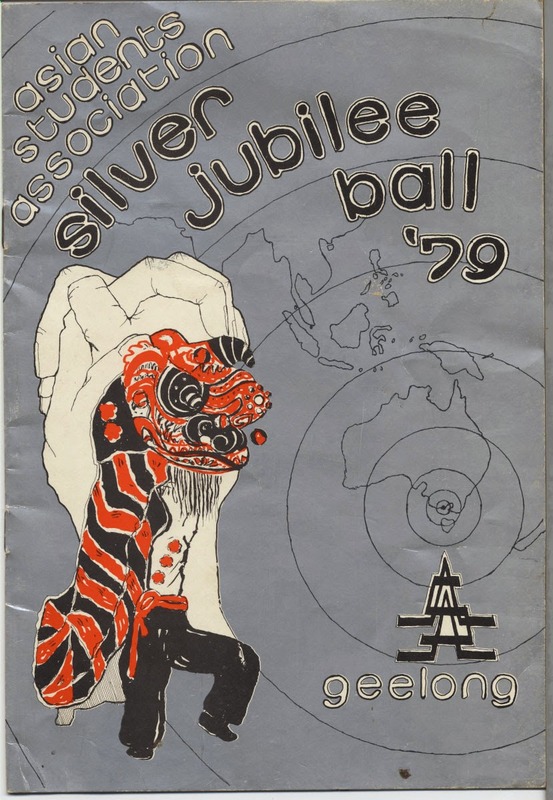 We organized a big charity ball in our final year of 1979 where the architecture department made a Chinese Lion while we ordered the drums from Hong Kong flown with compliments by Cathay Pacific! 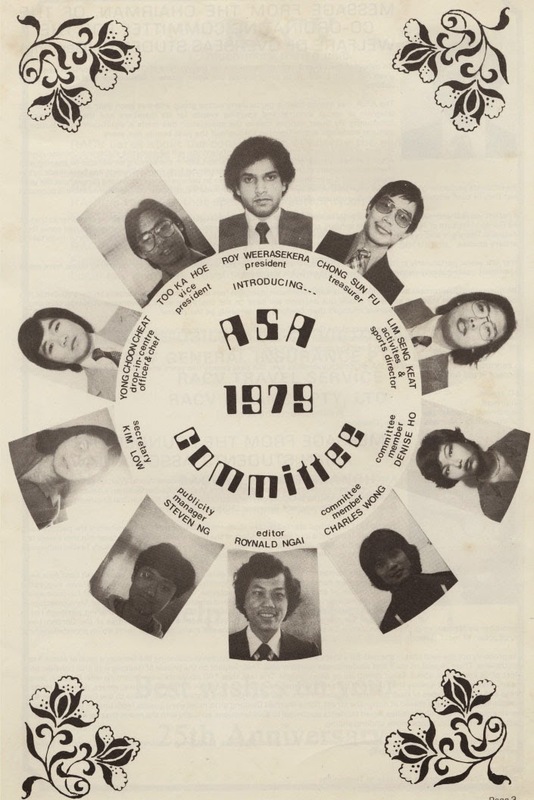 That is how entrepreneurial we Asians were and we called in our Silver Jubilee ball. The food was totally cooked by us students in the kitchen of our University as we had a Food and Catering department and served at the Silver Jubilee Ball held at the South Barwon Civic Centre. We somehow got a concert band and a rock band with DJ backup to provide music for the evening on a voluntary basis for a good cause. 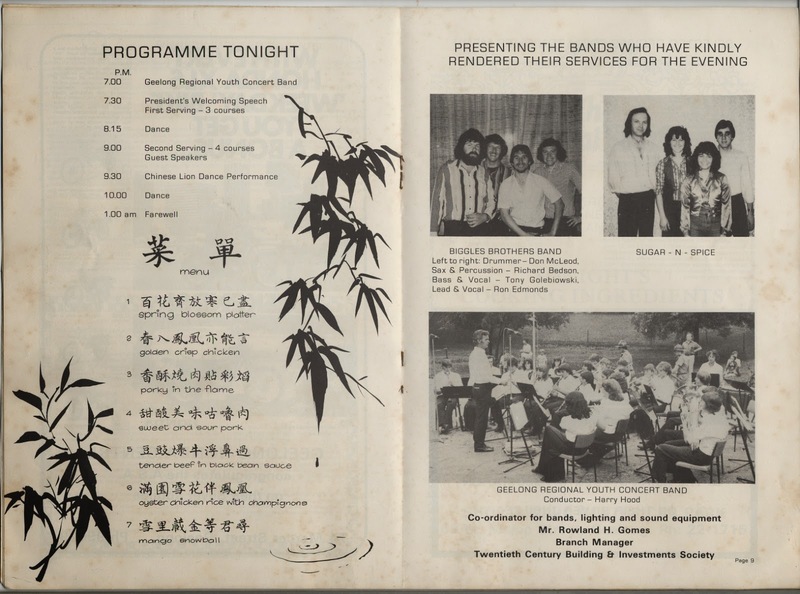 This was in aid of the Shannon Park Spastic Centre of Geelong in recognition of The International Year of the Child on Saturday, September 22, 1979. Here is our souvenir booklet for the evening where we got to raise money by going to businesses in the city to look for advertisers. I remember going into the Pyramid Building society, before they collapsed as it was only after I had gone home that I learned about it, to meet the manager. 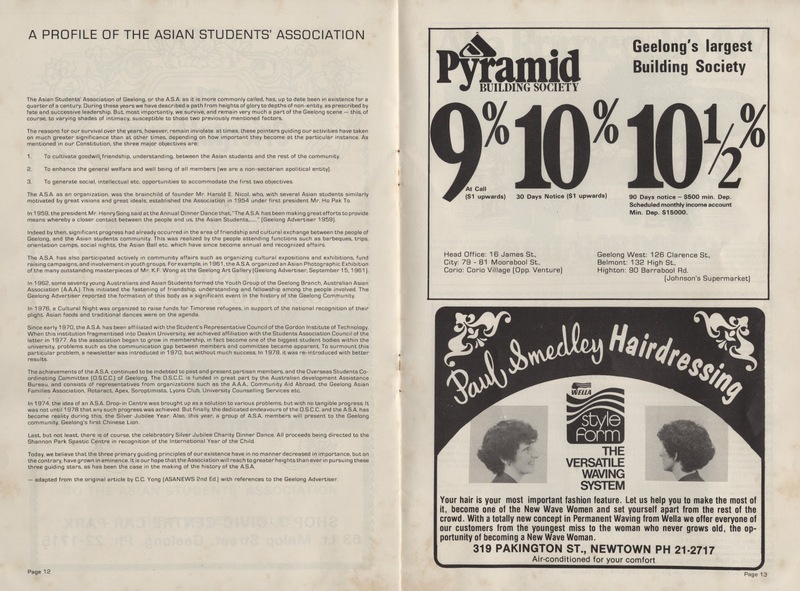 It was a popular place for the Asian students to put their money there as the interest rate being paid out was about 10% or higher! Now the manager showed reluctance when I approached him so I had learned how to talk like a businessman. First I told him his advertisement would surely attract more people to invest with them especially the Asian community and I got him worried that if he didn't support the Asian Student Association, most of the students would withdraw their deposits with the building society and park their money somewhere else! He quickly agreed and gave us a half-page advertisement. It was a great evening with a fancy 7-course Chinese dinner cooked by the students and 3 bands providing music for the night's entertainment and dance. This original video above with the aerial view alone with no commentary has been removed. It was used to capture the screenshot above with the red arrows added. Notice that if you stop the above video at the 0:19 sec, you can still get the same original screenshot as found above which is reproduced below from this new video above. I just wanted to prove nothing was lost except the original silent video was removed. My original narrative below still makes sense without any alteration if you click the links to see the top view and the street view. Post-dated comments, videos, and screenshots end from here. From the black and white first old photo above that, I am comparing these two new buildings, I can finally confirm they are the very same old two buildings that have undergone some changes, notably building KA on the right has an additional floor added to it that is painted white. Otherwise the two buildings were original of the same 3 story height. Building KA also has a distinguishable tall tower-like structure on both ends of the building similar to the black and white photo and this makes me very sure that KA was the original building linked to building JC on the left that merely has a new dark glass facade that makes it look different from the 1977 photo with its open verandas seen in the top two old black and white photos. 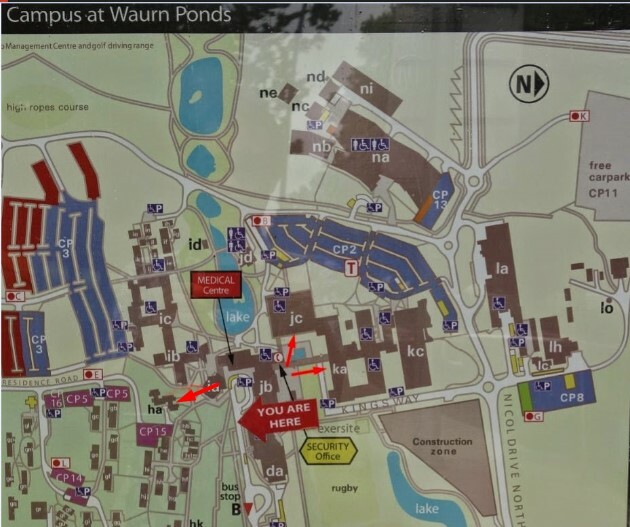 I am glad to have been able to solve this puzzle from just the one trip I had made to the Waurn Ponds Campus where the biggest lead was the photo I took of the map of the campus when I arrived. It was hard to figure it out then when I studied the map in front of me but my follow up at home using the internet to search for old photos plus the use of Google Map's aerial and street view matching with my actual photos taken on that day itself could provide me conclusive evidence that building JC and KA are the same buildings in the old black and white photo of the campus taken in 1977! Here is my look at the end of a brief tour of the Waurn Pond campus where one can tell I'm still figuring out things in my head to be resolved when I get home! Warrnambool Campus in the Western District of Victoria was a bit out of my way to visit so I only covered the one at the Waterfront in downtown Geelong and the other Burwood campus in Melbourne city. The Waterfront campus is located close to where the new Christmas tree icon of Geelong is seen floating in the water. The new logo of the University is seen outside the building. Inside the building, one can look out with a view of the waterfront. 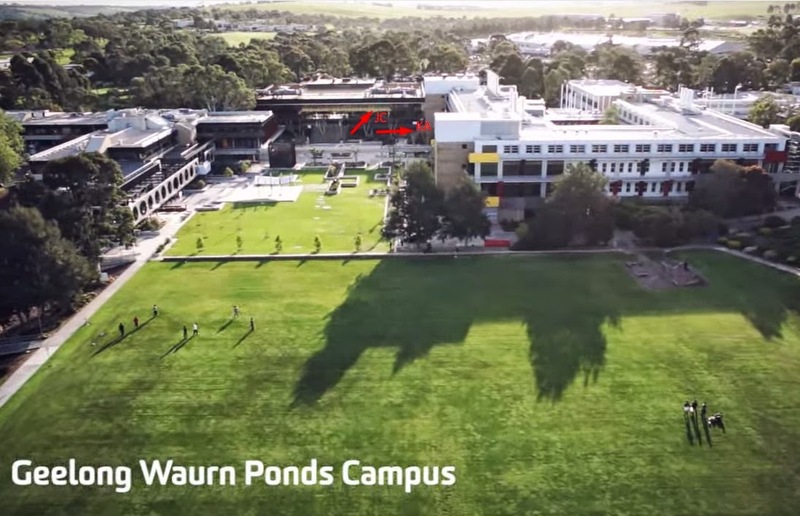 As I never used or studied in this place which didn't exist during my time, there isn't much passion to write about it as compared to my keen interest of the Waurn Ponds campus where I followed up with some detailed checking and analysis even after I had gone home. 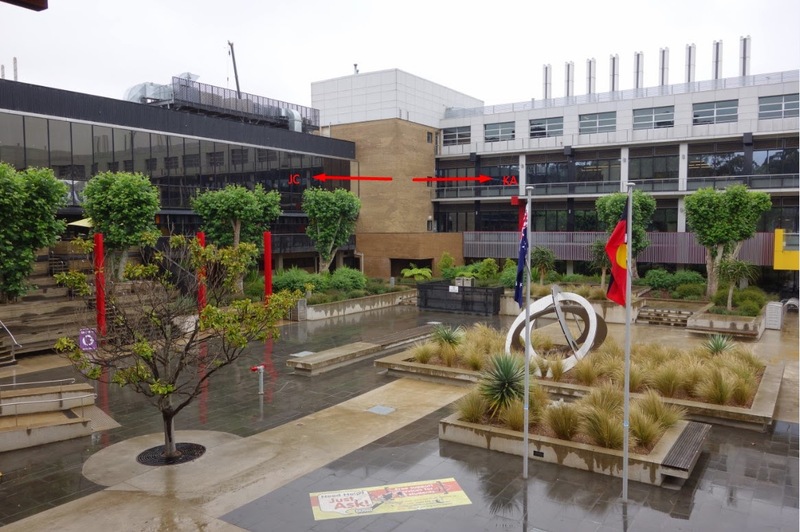 Similarly, in the Burwood campus photos below, I merely snapped the photos of the exterior of the main visible front buildings and present them as they are below. I did add a web link to a map posted as the last photo below where one can study more details if desired. The main building is clearly visible from the main road in Burwood. A large billboard outside has advertises that Deakin is 40 years old calculated from the time of the passage of the Deakin University Act in 1974 to December 2014 when the above photo was taken. 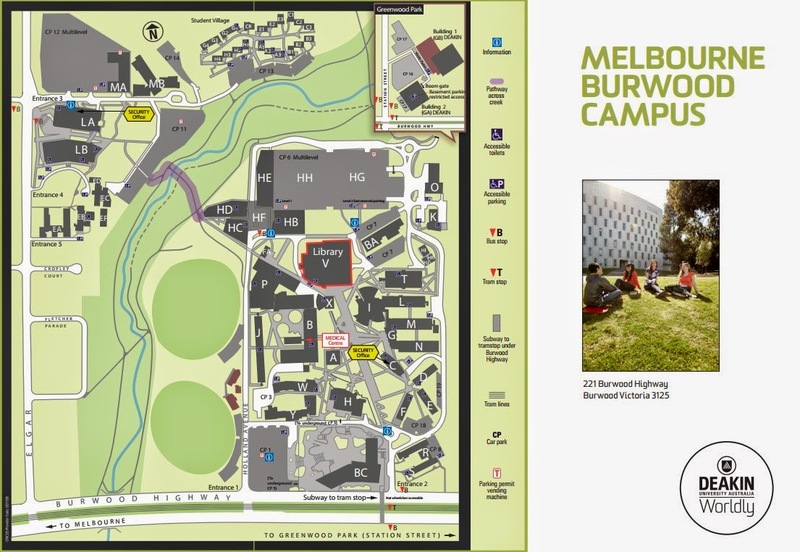 A map of the Burwood campus where more details can be viewed online here. Wow, we have an Asian with Mr. Spock ears too! Here is Superman at the perimeter of the battle field making sure the warriors stay within their borders. Oh, it's already April 2015 and I'm starting to have nightmares for not finishing this post!!! Could be the spirits in the Melbourne cemetery haunting me! There are sure many dead buried there! 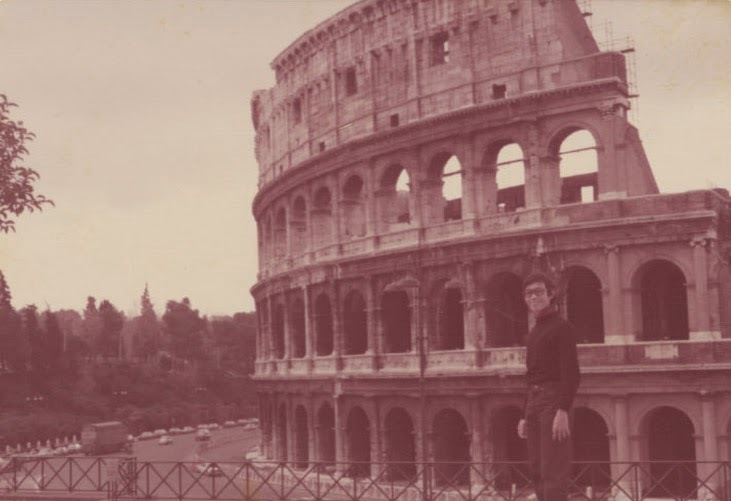 Well if you're impatient to wait for more writings on this travelogue from the author, you might want to read an account of his same trip written in a completely different perspective. How is that possible, well go find out by clicking here. This was my last photo of my buddy Kim and I in Melbourne to compare if my 1-month long mustache could match his of a lifetime of cultivation! He wins for sure! ...to land in the backyard pool of Clayton, brother of Geok Lee in the Gold Coast. Another brief comparison of my moustache with another, still the loser! No more flying but a train ride to the Sunshine coast further north of the Gold Coast. There was free wifi on the train to help a friend from Penang on some work stuff! At the home of our alternative medicine practitioner Gary Powell using his wife to show me some vital points of the foot! 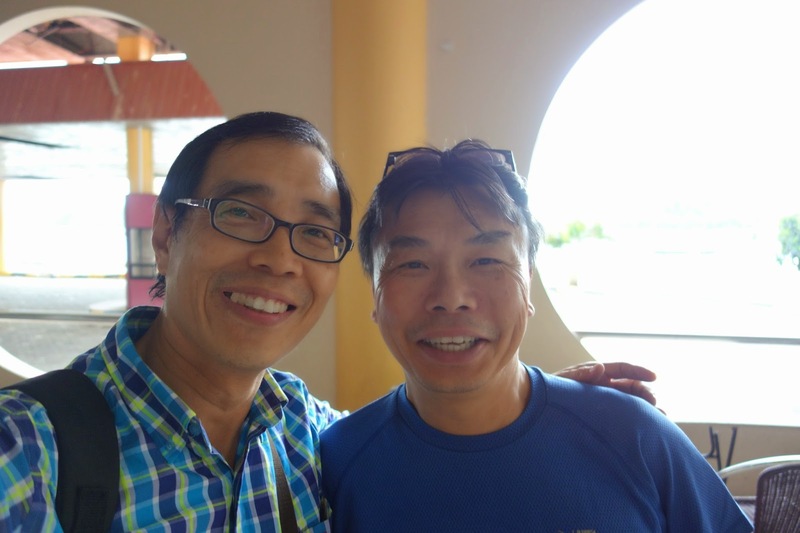 I was taken to meet an old friend from Malaysia at the Larner's ranch! The Year of the Horse was to end soon so a pat for the horses in the ranch. There was a little time to check out the local beach activities. Close to Christmas to fly back to Singapore. It had been there earlier in the week as I was working on finishing another blog post here sharing my find of the video below to add to my collection found here. It was Gary Powell on this trip a year and a half ago who recommended the name of Bruce Lipton to search for on the internet! I would post the video with the photo of Gary acting as Putin the Russian politician on Facebook to ask the viewers if they could catch a humorous point on Dr. Bruce Lipton's video about Politicians! Created a video for my buddy Alvin Lim on the occasion that he and his partner claimed their prize of a prized signature guitar for being the highest bidder in a charity program by Dami Im. 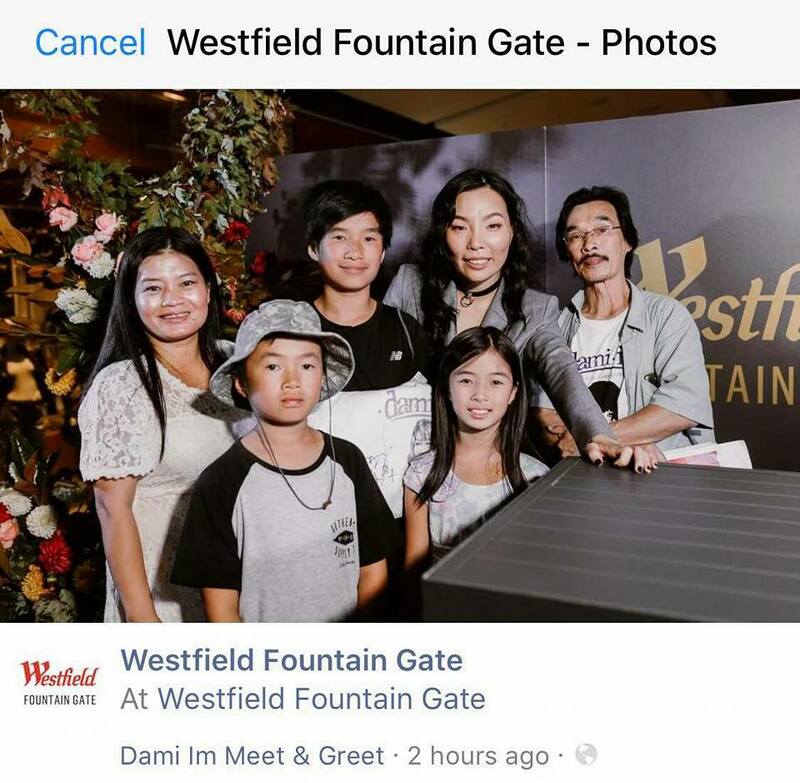 This prize giving ceremony was on 13 May 2017 on a Mother's Day performance by Dami in Melbourne. Alvin's Family are older by 4 years since I last visited them. Dami Im's music is now a great part of their family entertainment. 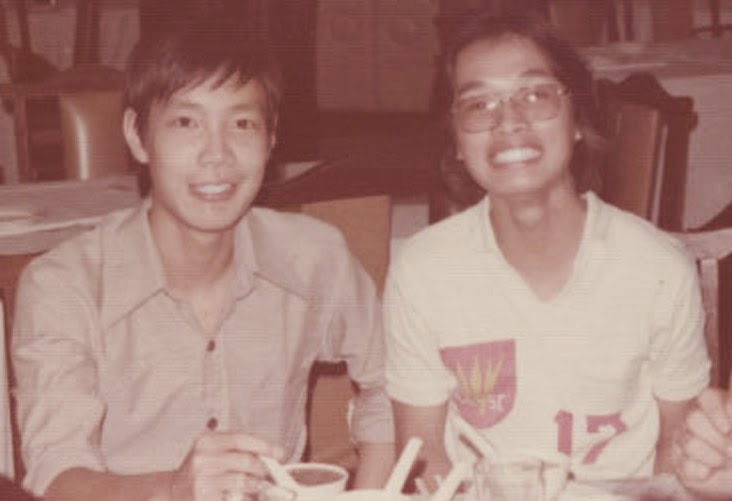 This photo was shared in Alvin's Facebook timeline on 24 Mar 2018 that can be viewed by his Facebook-connected friends only.